"Surprise! Judging from Donald Trump’s cabinet choices, it turns out that a narcissistic billionaire who doesn’t pay taxes might not be the champion of the working class after all. 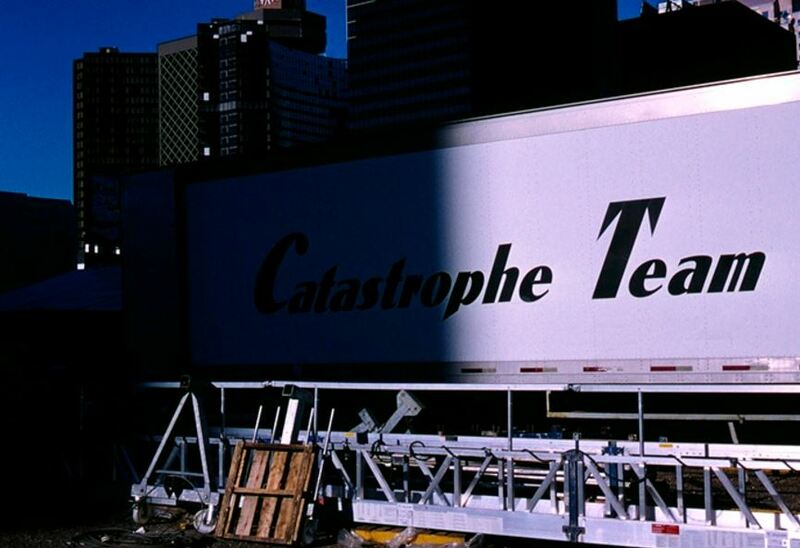 Who could have predicted that?" 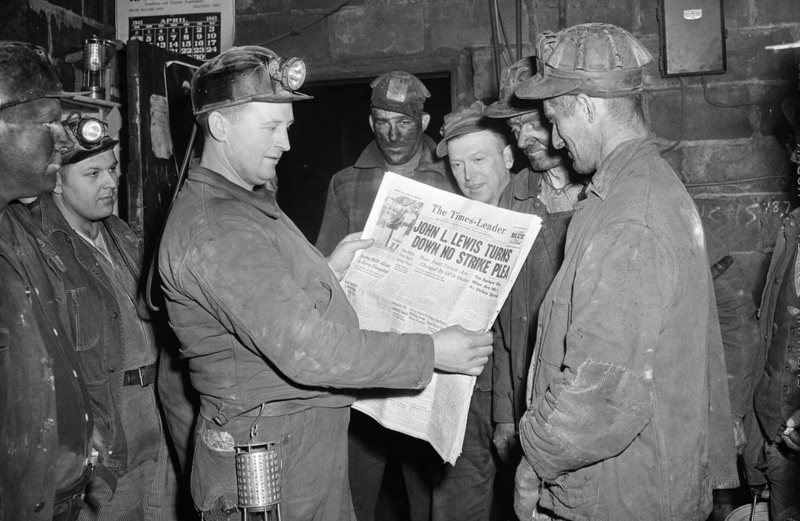 ​Read the full story by William T Cavanaugh here. 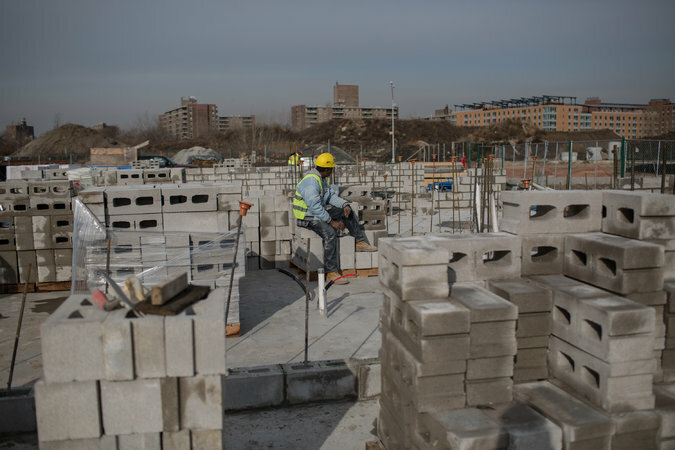 It’s a broad sweep that has led Brawley and other leaders to push for more affordable housing, improve conditions in NYCHA apartments, tackle gun violence and advocate for a sharper crackdown on slumlords. Full story here. To the civic powerhouses New York sadly lost in 2016, who had dedicated their lives to bettering the world around them. 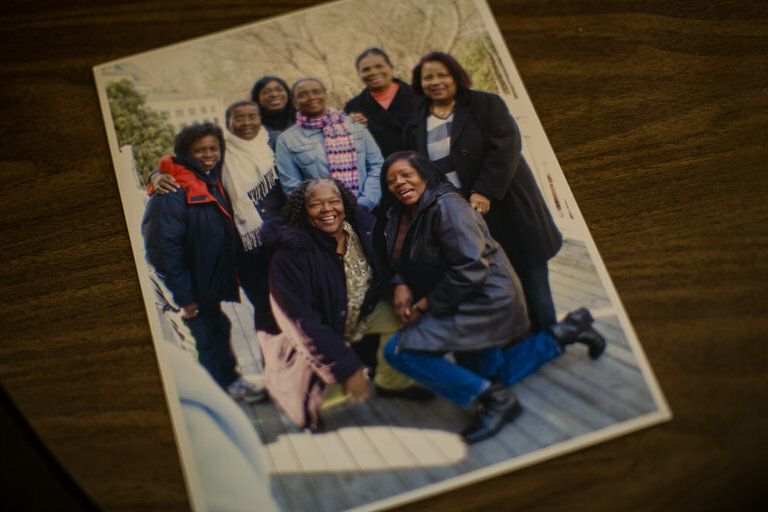 Among them: Carmelia Goffe, a transit worker who amid the rubble of 1980s Brownsville, Brooklyn, made possible the rebirth brought by the Nehemiah homes, by organizing and inspiring others to get behind her. 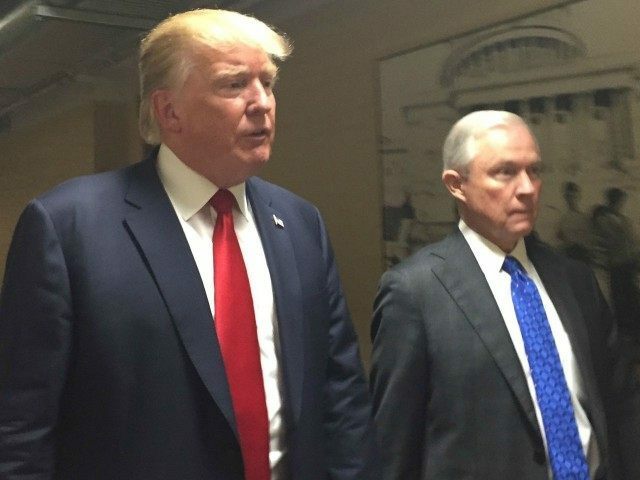 Is Trump's Deportation Plan "Impossible"? 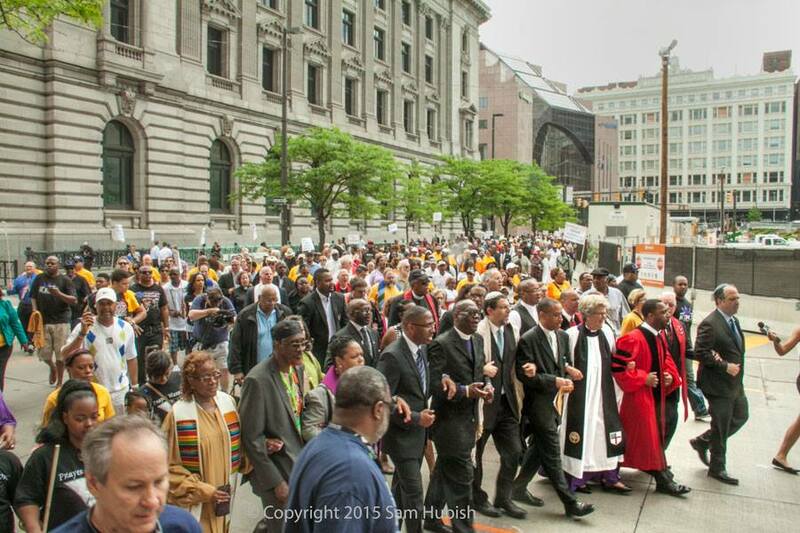 The leaders of Baltimoreans United in Leadership Development — Clergy Co-chairs Rev. Andrew Foster Connors of Brown Memorial Park Avenue and Presbyterian Church Episcopal priest Rev. 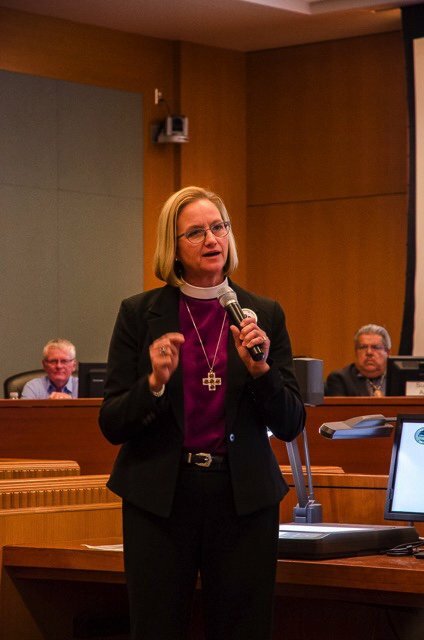 Genna Huber, and Co-chair Emeritus Bishop Douglas Miles of Koinonia Baptist Church — didn't just decry the deal; they demanded a better one. 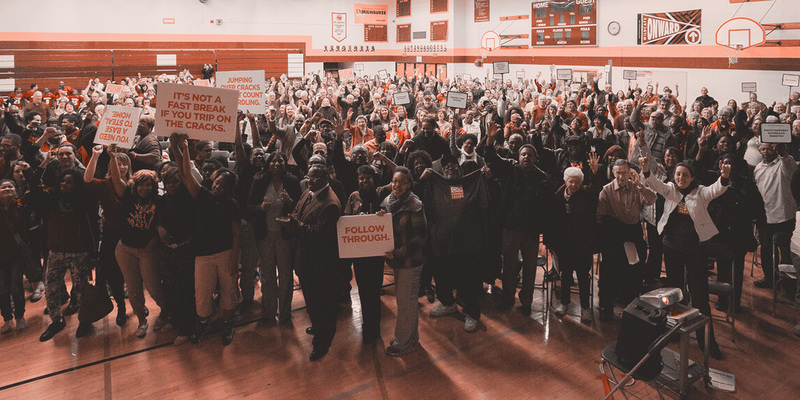 After tensions boiled over between Sagamore officials and activists at a public meeting, the BUILD leaders sat down with the developers for an extraordinary 10-day negotiation that led to the most expansive community benefits agreement Baltimore has ever seen. More here. Is Donald Trump's Election An "Extinction Level" Event For Organized Labor? 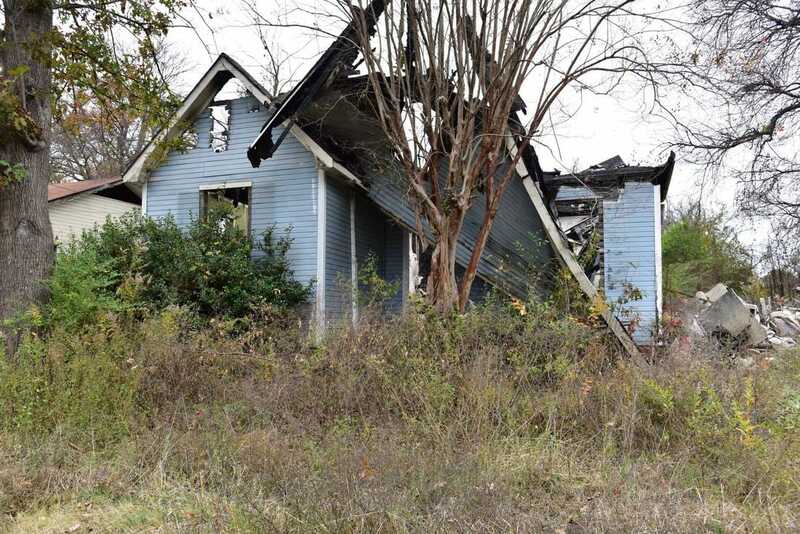 Just east of Jackson State University lies a whole block of derelict properties (bordered by Poindexter St., Canal St., and Olin St.). 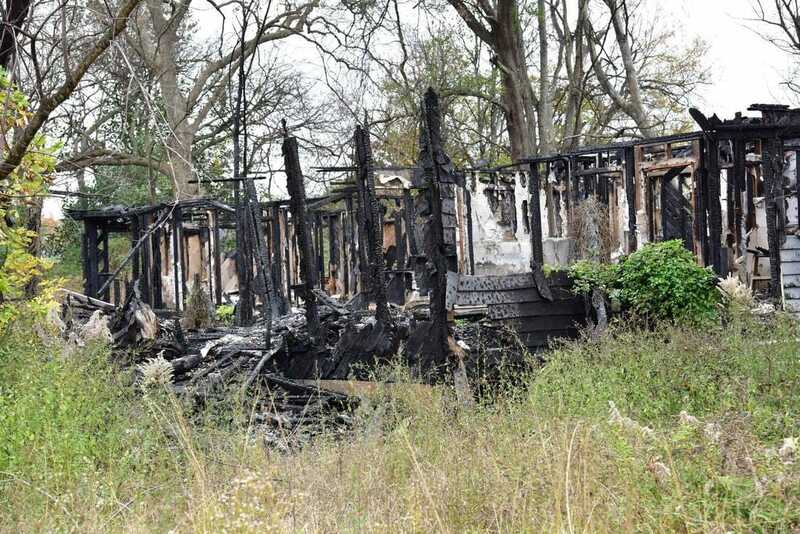 Members of St. Mark’s Episcopal Church were joined by other members of Working Together Jackson to call for the immediate clearing of these dangerous, burned out structures so neighborhood improvement can begin. 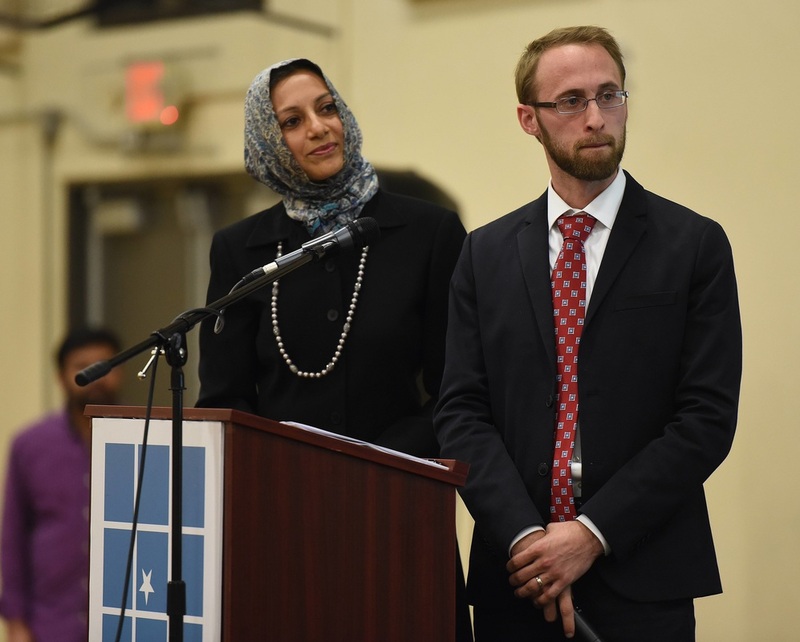 Mayor Walsh endorsed a statement of shared values read by members of the Greater Boston Interfaith Organization, the event’s organizer, and pledged to stand against bigotry and abuse. “With you, I’m committed to working across our differences, to heal not just the wounds of this election, but the wounds of our history, and the wounds in our heart that cause this fear and despair,” he said. Full report in Boston Globe here. 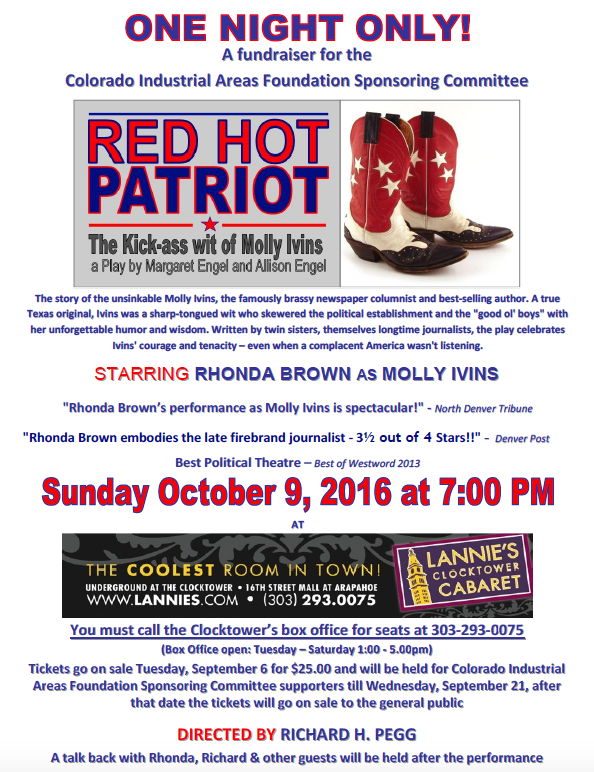 Common Ground Fall Newsletter Just Out! 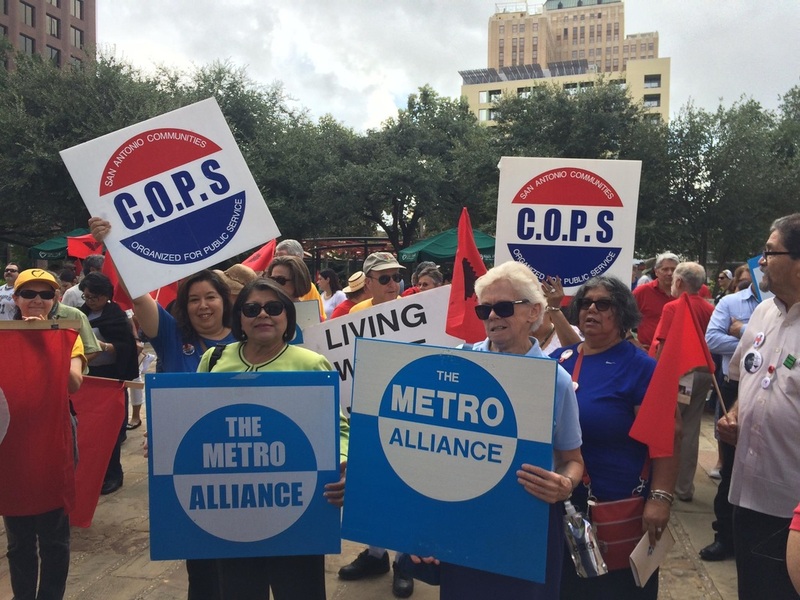 ​"We Never Quit, We Don't Go Away"
COPS/Metro organizers are asking the City to “craft a better and larger proposal” that includes more methods such as grants and repayable loans to repair homes, clear guidelines for developers, an explicit definition of affordable rental rates for each neighborhood, and more communication with neighborhood associations and community groups throughout the entire process. 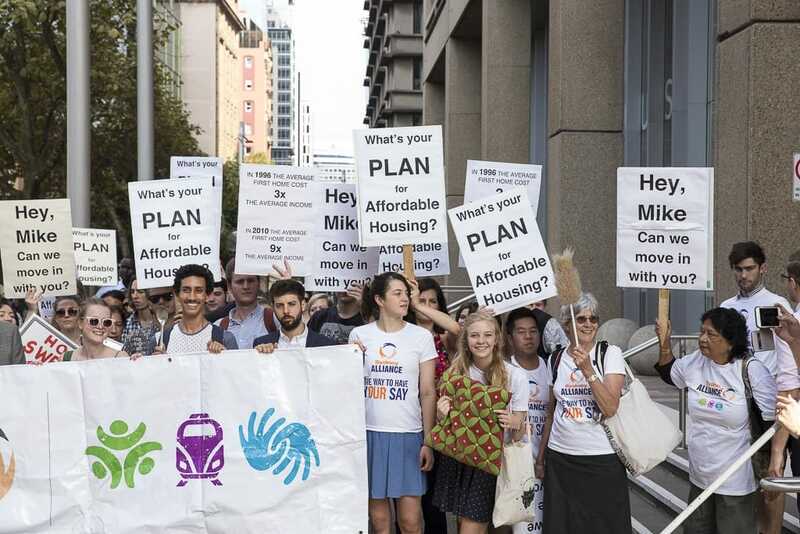 Ensuring that affordable housing will be priced in a way that citizens who truly need it can make ends meet is essential, they said. Details in Rivard Report. Another here in NowCastSA. 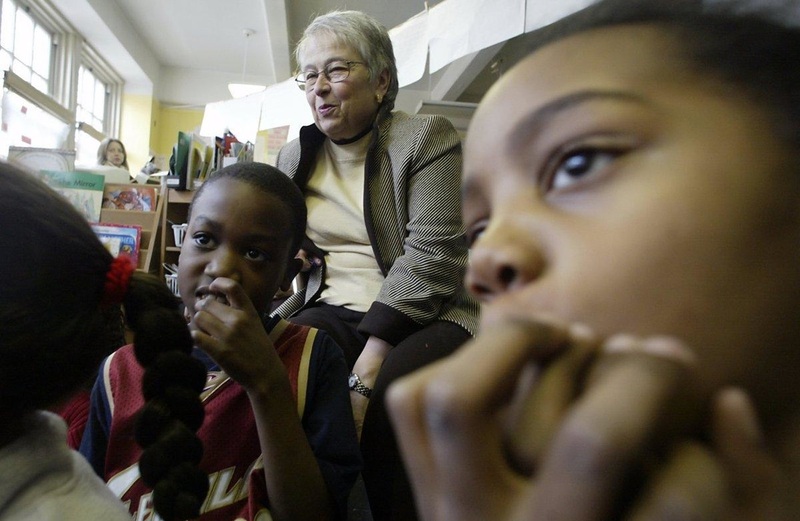 NCG advocating for a weighted funding formula- additional funding for students in special education, poverty, English language learners, and gifted and talented. 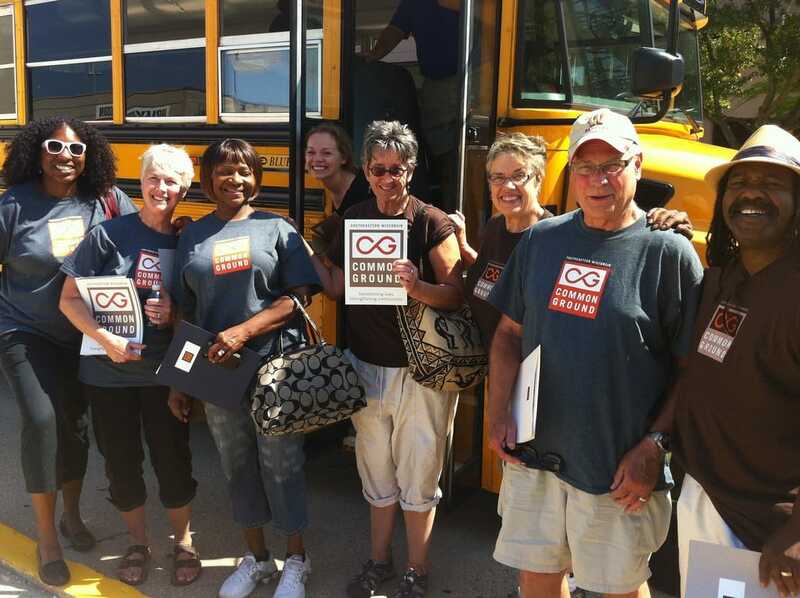 ​NCG Battles for equity in school closure battle: Story here. 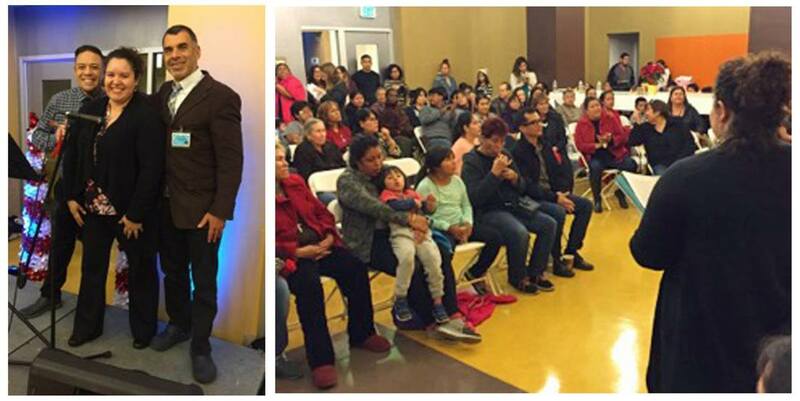 One LA Reaches Milestone Healthcare Enrollment of 146,000 & Celebrates Expansion of Enrollment to 54,000 More! http://www.swiaf.org/…/one-la-reaches-milestone-healthcare…/Before a packed audience of 200 health care leaders and Dr. Mitch Katz, Director of the LA County Department of Health, One LA celebrated the milestone enrollment of 146,000 Los Angeles residents into My Health LA, 8,000 of whom were enrolled by One LA leaders themselves at their institutions. Benefits of paid sick and safe leave applauded on all fronts; Major positive impacts across the board. IAF power organization makes it real. 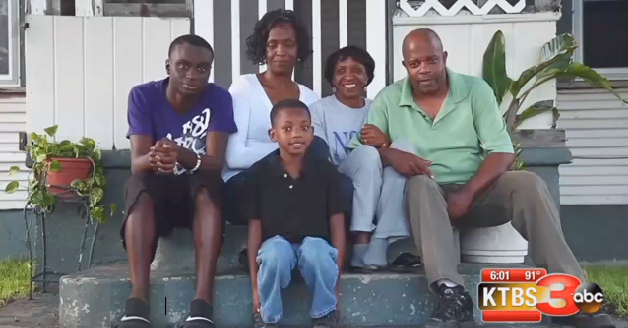 Individuals and families, especially with children the beneficiaries. A Spokane Alliance success story. Full report on TV here. 100 + leaders from 19 diverse institutions gathered at Cleaves Memorial CME Church; pledge time, money and talent to IAF drive in Colorado. Leaders from synagogues, labor unions, neighborhood organizations, mainline congregations put up $60,00 more for the venture. “They saved East Brooklyn and helped save New York City as surely as any mayor or governor or banker did,” said Michael Gecan, a co-director of the Industrial Areas Foundation, a network of faith and community organizations. 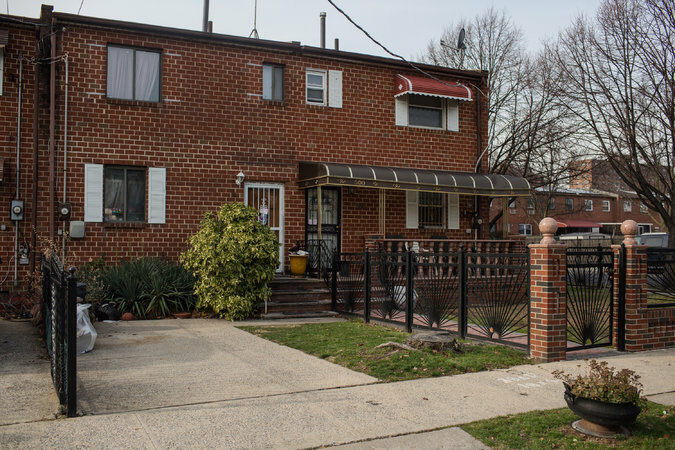 "At a time when hardly anyone seemed to have ideas that worked, the Nehemiah homes became a roaring success in Brooklyn and the Bronx. It is hard to imagine the city’s renaissance without the vibrant foundation of Nehemiah. 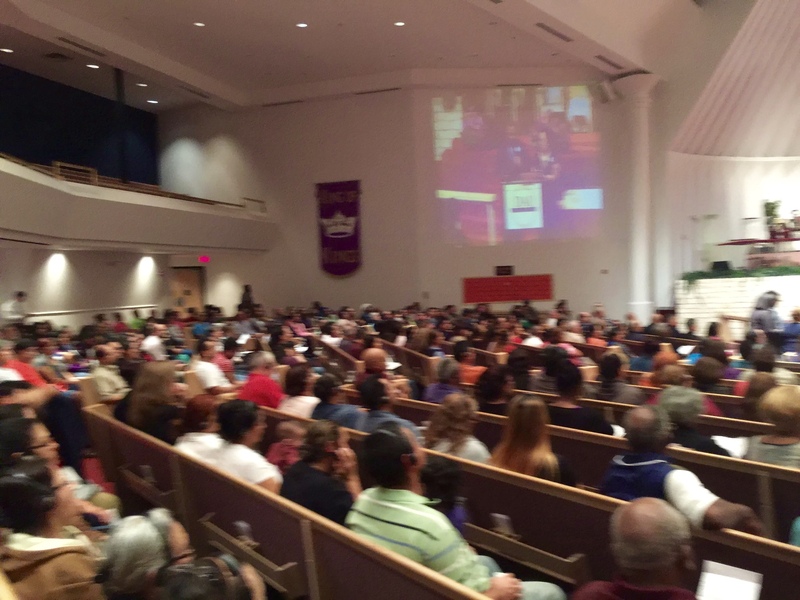 (A video on East Brooklyn Congregations’ website, shows the transformation.)" Story in NY Times. ...insulted a union leader on Twitter. Then the phone started to ring. "Half an hour after Trump tweeted about Jones on Wednesday, the union leader's phone began to ring and kept ringing, he said. One voice asked: What kind of car do you drive? Another said: We’re coming for you." WaPo story here. 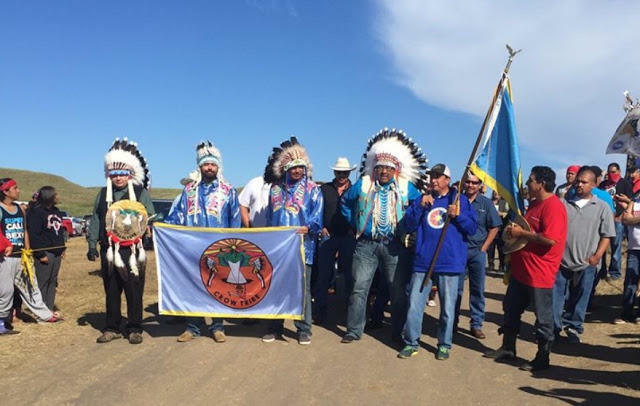 Today we Veterans were thanked with sincere Blessings and Thanks for our coming to Stand with Standing Rock. Fantastic Drumming and Prayers for all Peoples to build relations in the vital protection of Mother Earth. Rescued to casino!!! Safe and warm, and looks like I will live to fight another day. Yay yay YES.!!! Will NEVER think Oracle is cold again! Situation was extreme; tents crashed,propane almost gone and wood supply dangerously close to being 0! Please send WARM THOUGHTS TO VETERANS AND WARRIOR SUPPORTERS. 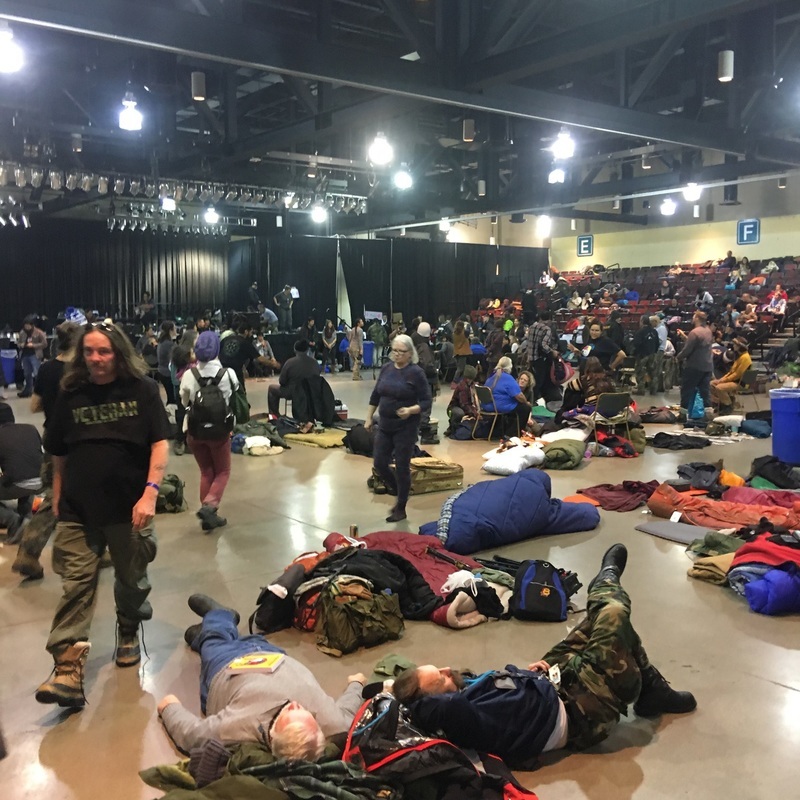 This from Darrell Klesch of Oracle, on site: What a day....prayers./ marches, blizzard conditions and below camping conditions. Sacred camp and sacred fire. 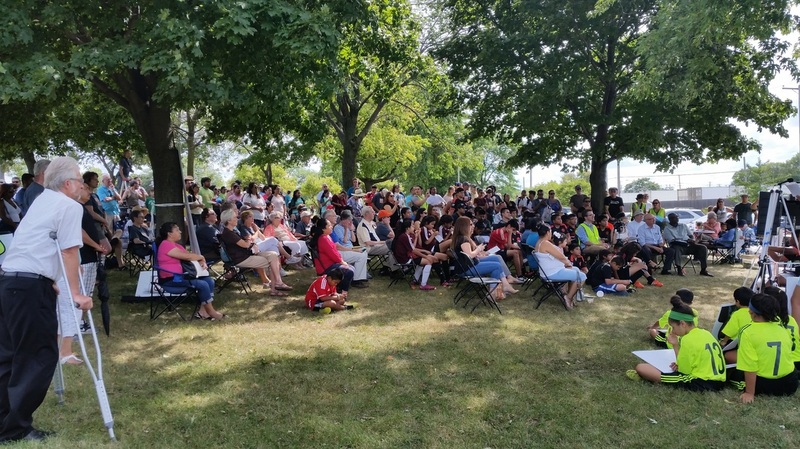 I spoke at sacred fire and was able, through tears, apologize for the 500 years of wrath that our government has brought to all Indigenous North American natives. "Kelcy Warren, the chief executive of the pipeline company Energy Transfer Partners, has been a major contributor to the Republican Party and Trump’s campaign. Trump, who once owned a stake worth between $500,000 and $1 million in Energy Transfer Partners, has sold the shares, his spokeswoman Hope Hicks said. 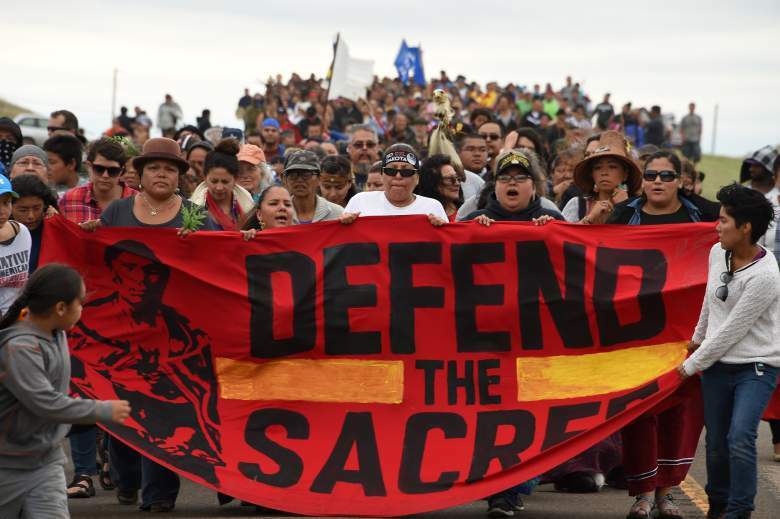 At the time of his most recent disclosure statement in May, Trump owned $100,000 to $250,000 of stock in Phillips 66, which has a 25 percent stake in the Dakota Access project." WaPo story here. Federal officials have denied the final permits required for the Dakota Access Pipeline project in North Dakota. 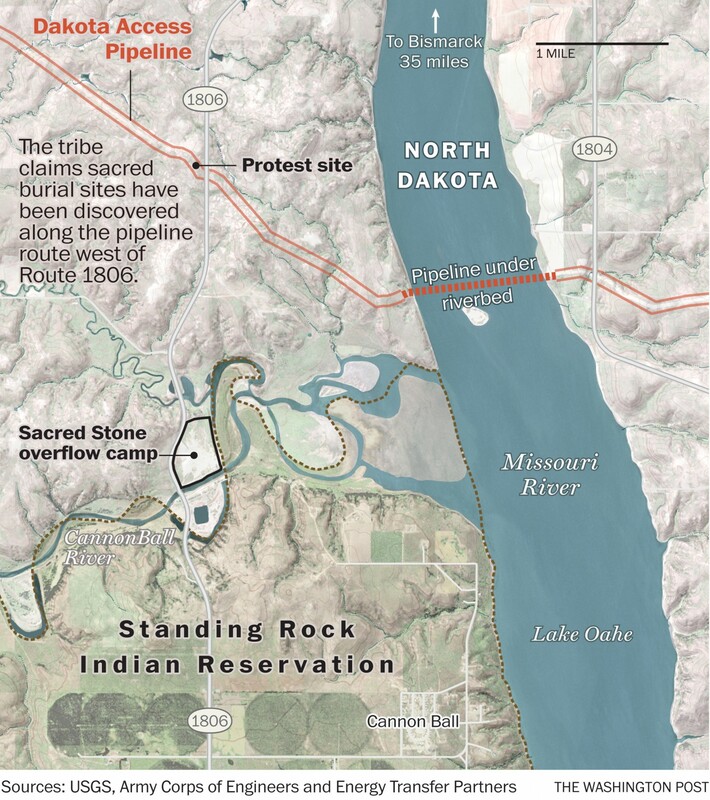 The Army Corps of Engineers on Sunday announced it would instead conduct an environmental impact review of the 1,170-mile pipeline project and determine if there are other ways to route it to avoid a crossing on the Missouri River. Story in Politico. "President-elect Donald J. Trump, however, has taken a different view of the project and said as recently as last week that he supported finishing the 1,170-mile pipeline, which crosses four states and is almost complete. Mr. Trump owns stock in the company building the pipeline, Energy Transfer Partners, but has said that his support has nothing to do with his investment." NY Times take. 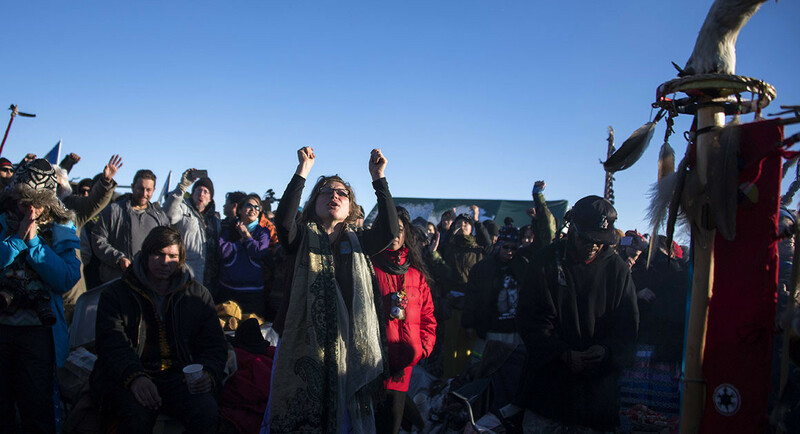 "For the Indians, the Dakota Access Pipeline, which will run from oil fields in North Dakota to a terminal in Illinois, is an existential threat. “Water is life” is the protest name. 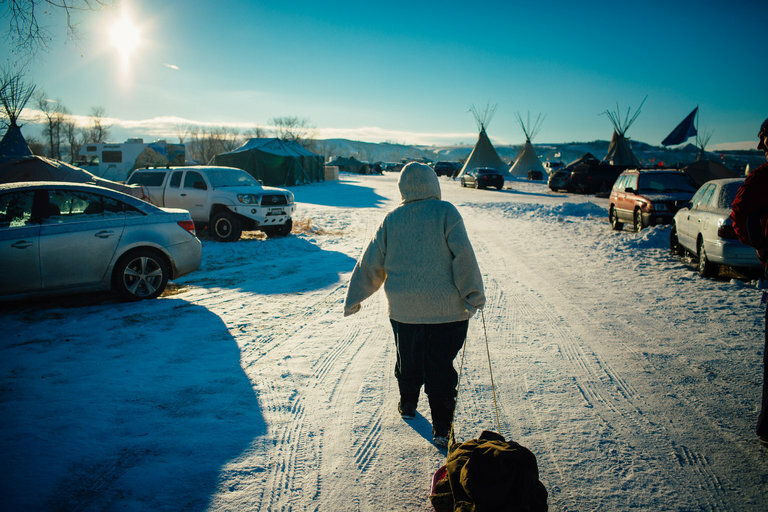 As planned, the pipeline would pump an artery of oil under the Missouri River — the source of the tribe’s water. 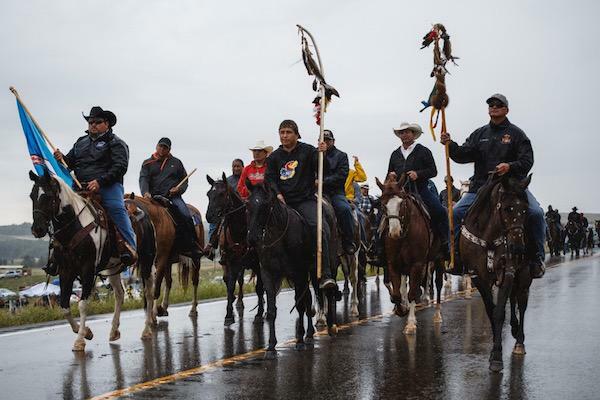 The Indians want the pipeline rerouted." 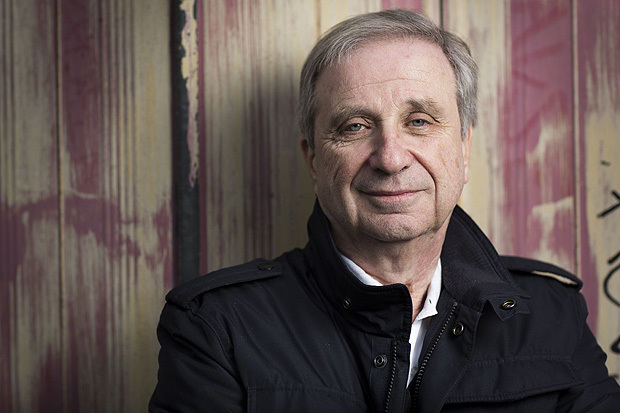 Egan's NY Times piece here. 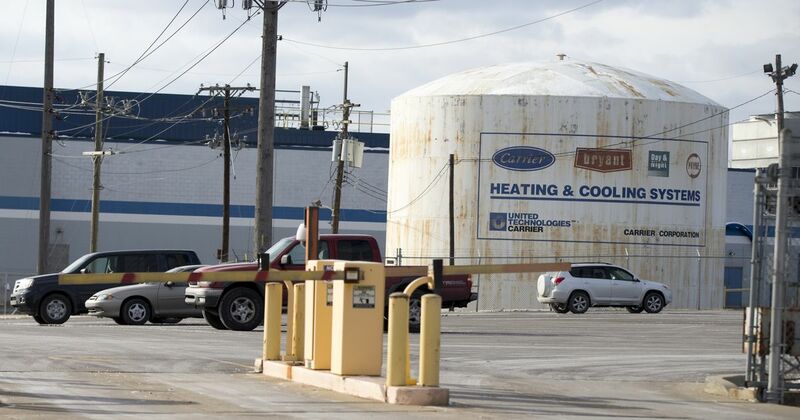 "The deal would cover 800 Carrier workers from the Indianapolis furnace plant and an additional 300 research and headquarters positions that weren’t slated to go to Mexico, according to another person briefed on the deal. 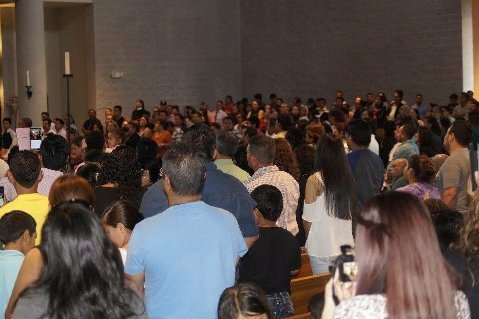 A Roman Catholic Bishop Steps Up; Sanctuary Parishes To Follow? 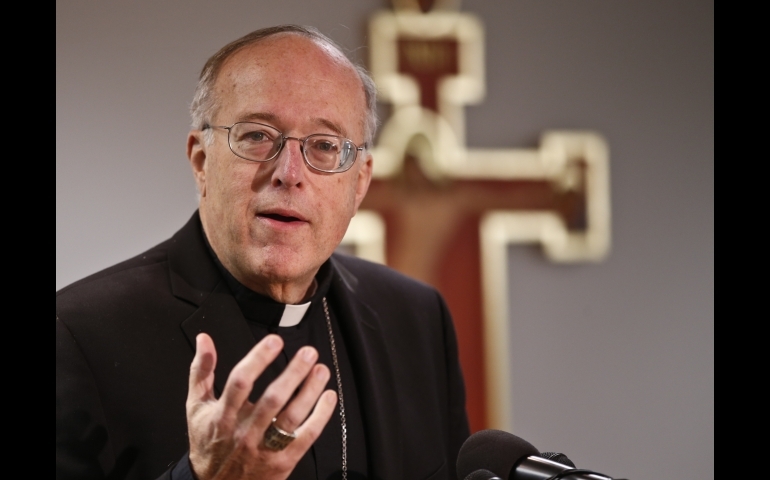 "For us, as the Catholic community of the United States, it is unthinkable that we will stand by while more than ten percent of our flock is ripped from our midst and deported. 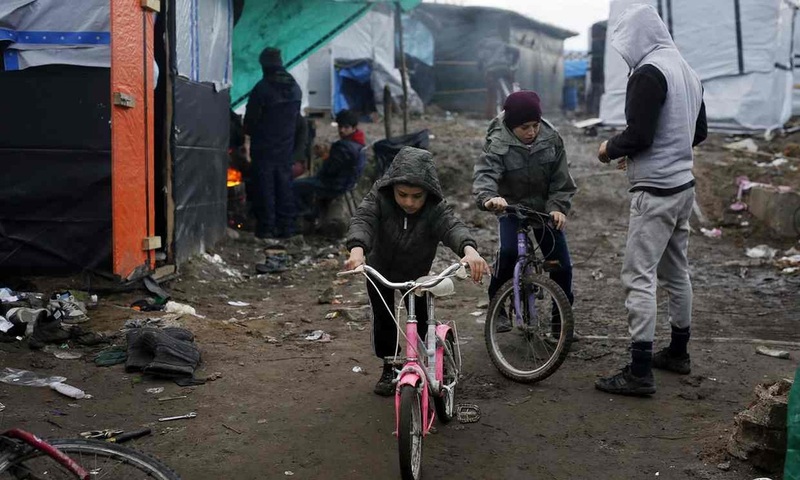 It is equally unthinkable that we as Church will witness the destruction of our historic national outreach to refugees at a time when the need to offer safe haven to refugees is growing throughout the world." 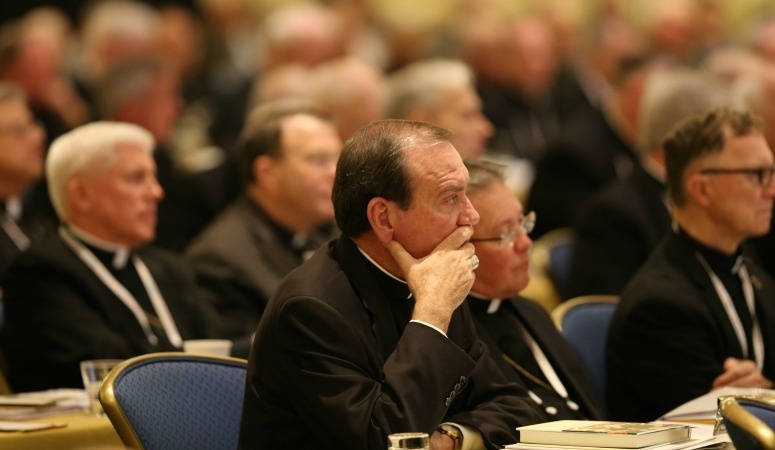 ​What Will The Catholic Bishops Do? 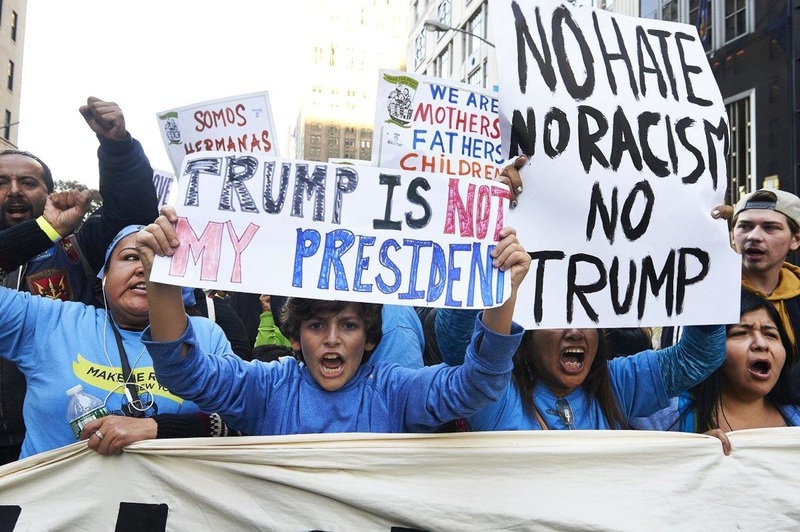 "Our children and grandchildren will ask what Catholic leaders did in the days when the president-elect named as his chief strategist a white nationalist who profited from kicking open the door to America’s dark cellar. The demons that escaped—racism, sexism, and nativism—have long haunted us, but now seem more comfortable in the light of day. Trump didn’t create these evils, but like demagogues down through the ages he exploited fear and division and resentment to consolidate power." Read the article here. 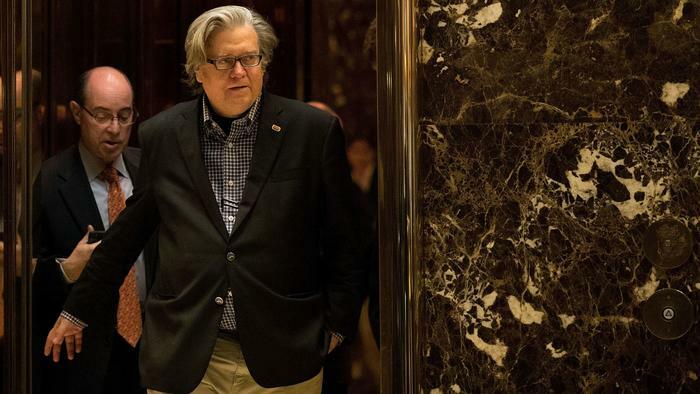 Will Bishops embrace views of Breitbart bred Steve Bannon when ensconced in Trump White House? 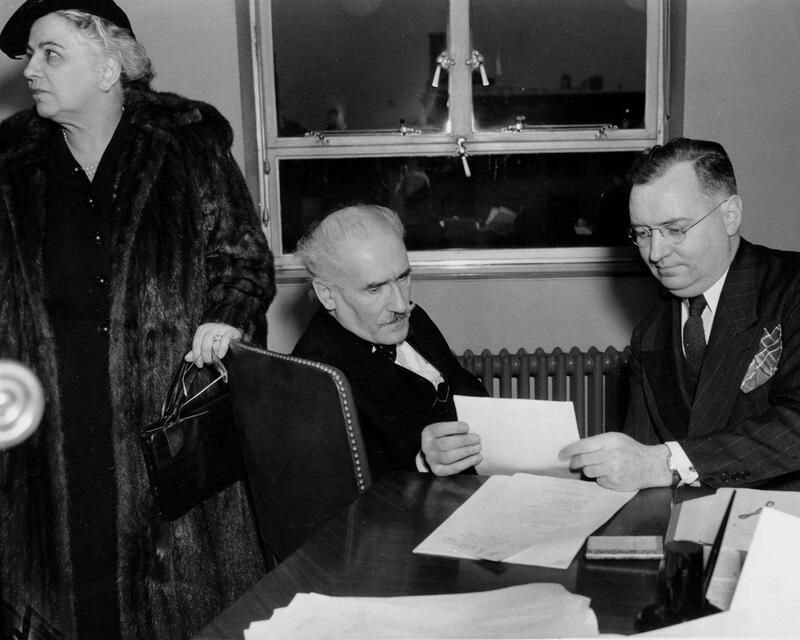 The USCCB convenes. 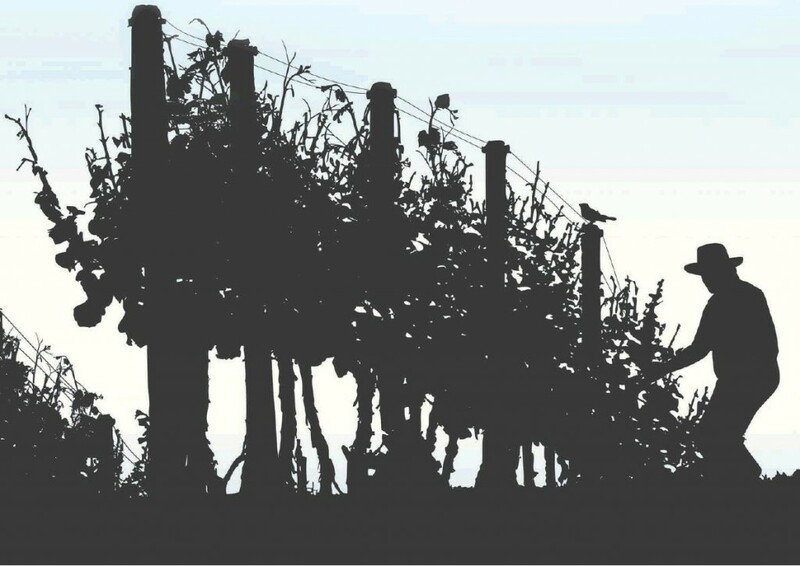 Decisive or dithering? As Trump/Sessions Grind Down On Immigrant Students, What Will Colleges And Universities Do? The Clinton campaign’s assumption seems to have been that actual people living on the ground in actual places knew less about the population around them than did the data-savvy professionals at campaign headquarters in Brooklyn. Christian Parenti story here. 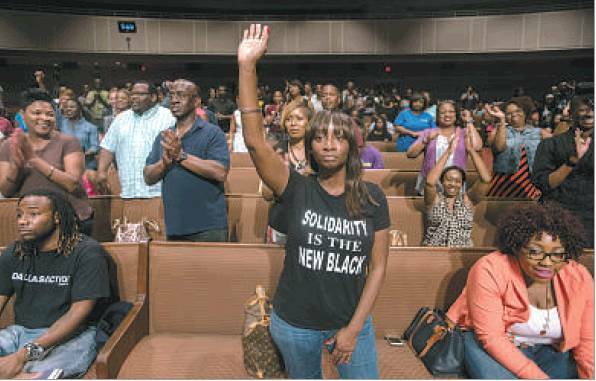 "Core Beliefs That Bind Us Together"
400 residents packed the Christian Chapel Temple of Faith, CME, in North Dallas. Interim Police Chief David Pughes committed yes to all questions (attached). 1. He will develop a video in Eng and Spanish to educate both police and residents about what to do in a traffic stop, especially where individual is licensed to open carry. license. 2. He learned that officers do not take reported wage theft seriously. He agreed to develop reporting protocols and to organize community sessions. 3. There are an 8,000 estimated loose dogs in S. Dallas Deputy Chief Sherwin agreed to patrol and apprehend an estimated 8,000 loose dogs near DAI member institutions and meet regularly with a progress report. 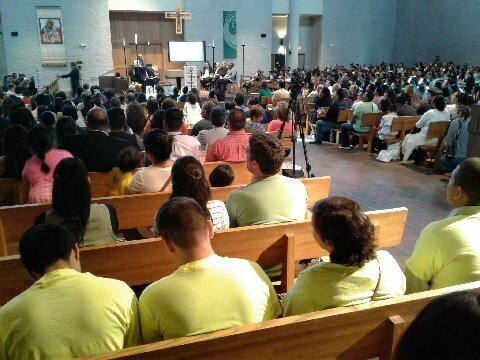 ​Cuyahoga County Prosecutor-elect Mike O'Malley addressed a crowd of more than 1,500 people at Olivet Institutional Baptist Church Thursday night, pledging to enact several significant criminal justice reforms. 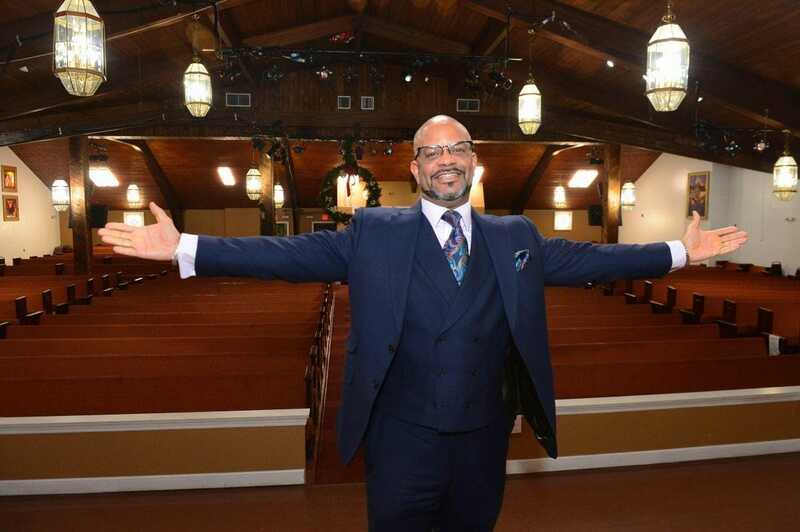 His announcements can be attributed in large part to the advocacy and pressure of the Greater Cleveland Congregations (GCC), self-described as the "largest non-partisan electoral bloc" in the region. 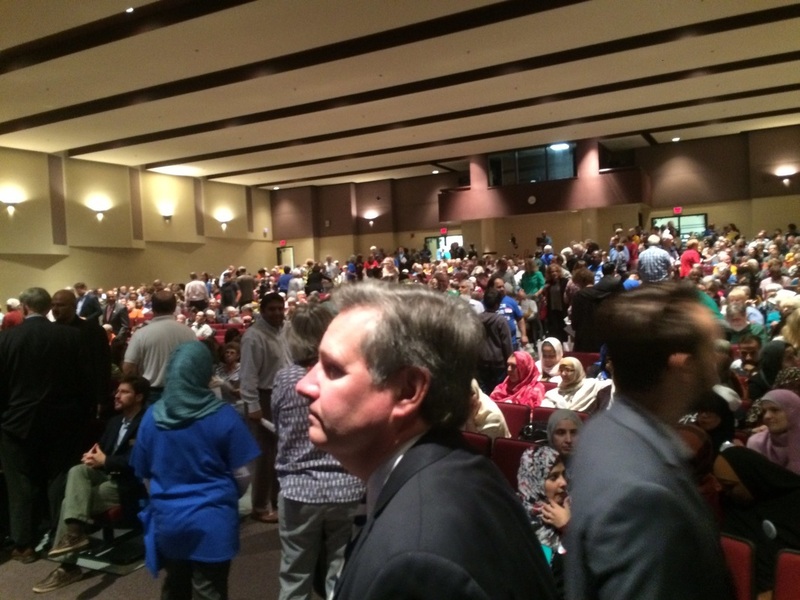 They were a major factor in O'Malley's toppling of the incumbent Timothy McGinty this March. 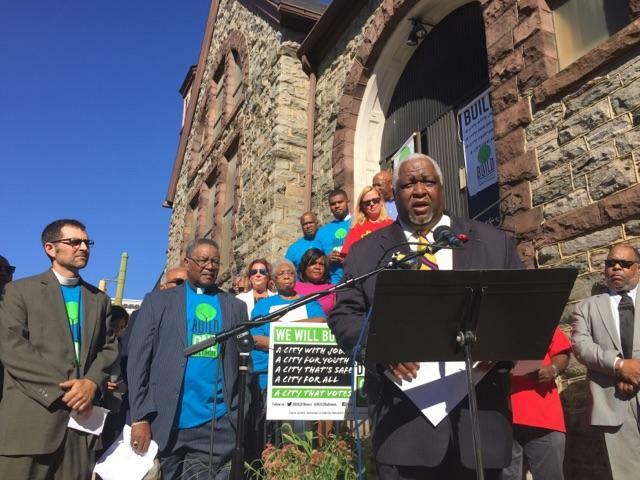 Leaders call for criminal justice reform: Cleveland.com TV here. 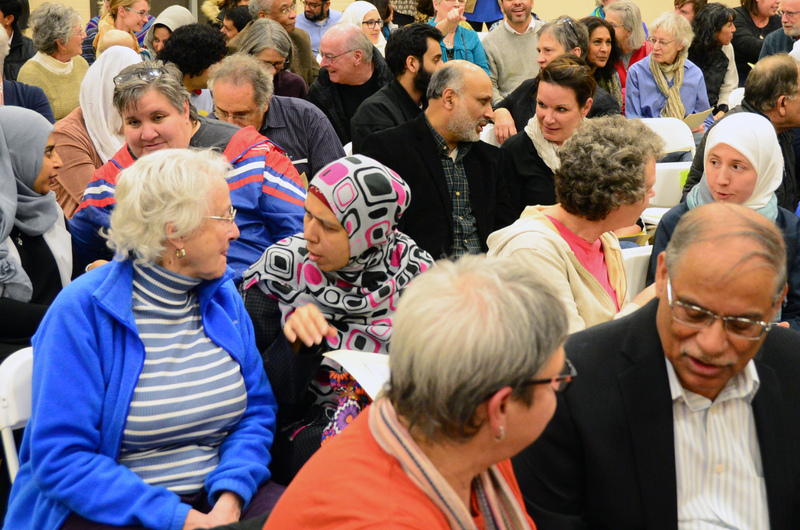 Tabassum Haleem of the Islamic Center of Naperville and Ale Jones of Jericho Road Church in Wheaton listen to the Rev. 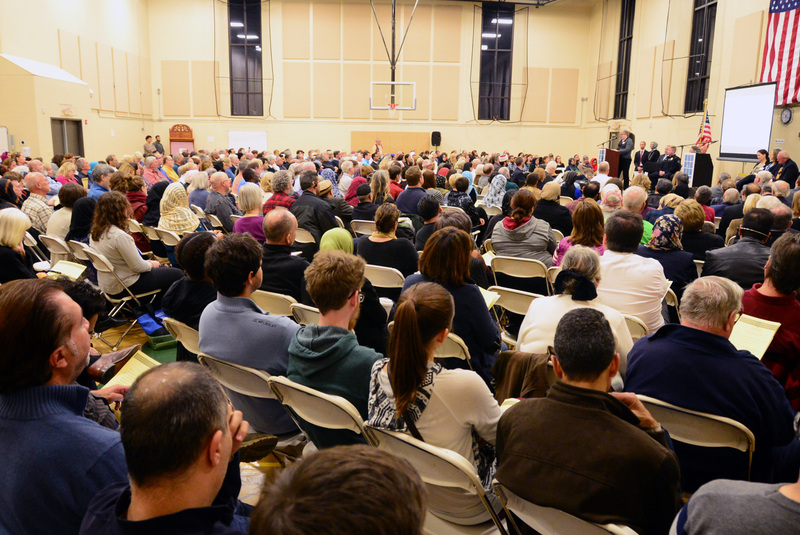 Jim Honig of Faith Lutheran Church in Glen Ellyn address a DuPage United assembly at the mosque Thursday. 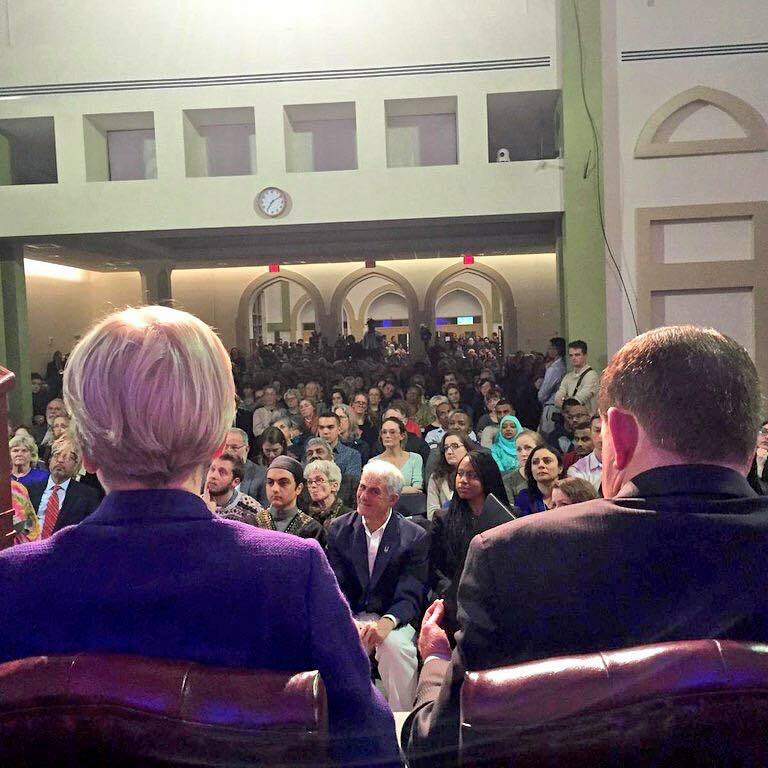 ​DuPage County religious leaders held an assembly at a Naperville mosque Thursday night to draw attention to their efforts to build ties with Muslims and to counter the divisive rhetoric of the presidential campaign. 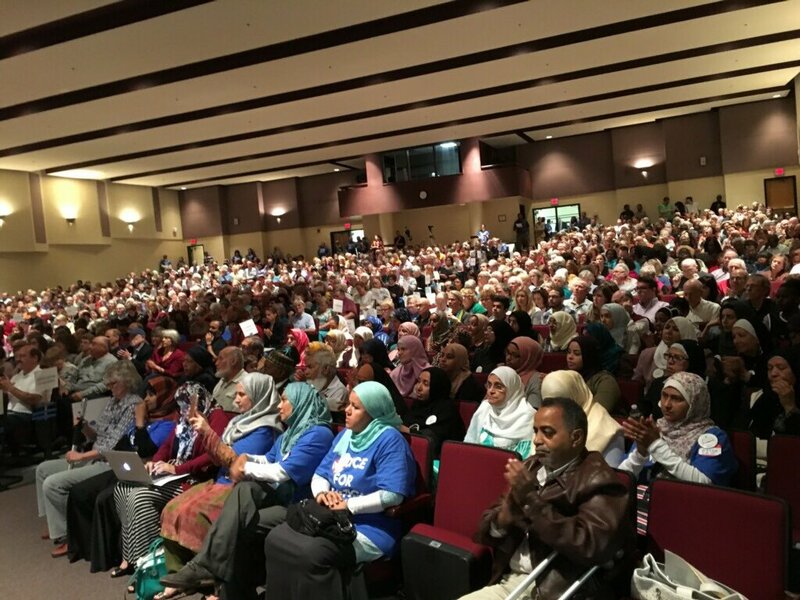 The standing-room-only crowd packed a gym at the Islamic Center of Naperville for a 90-minute, wide-ranging reflection on the work of DuPage United. Detailed story in the Advocate: Law enforcement, tax exemptions, flood relief and addressing 'food deserts' on the agenda. “You have an individual, Mr. Bannon, who’s basically creating the ideological aspects of where we’re going,” Ku Klux Klan leader David Duke told CNN. 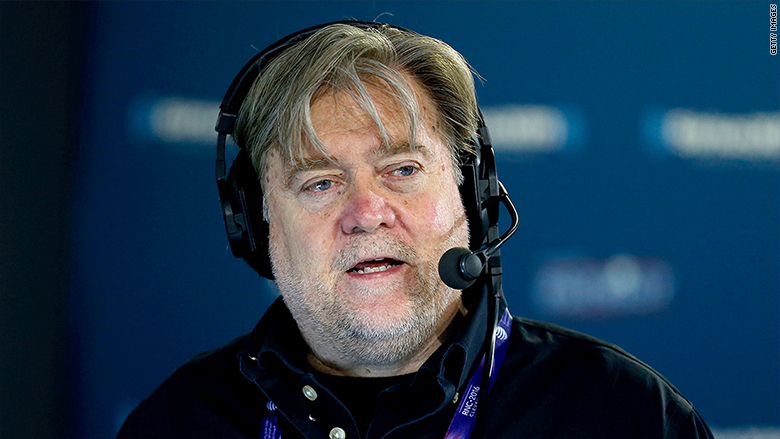 “I must admit that I was a wee bit surprised that Mr. Trump finally chose Mr. Bannon,” said Rocky Suhayda, chairman of the American Nazi Party, expressing delight. That such vile, odious characters are happy about the new administration is a call to action. Each of us must decide what we will do to shun the trivial, focus on what’s important and protect our country from a crisis that no amount of tears can fix. 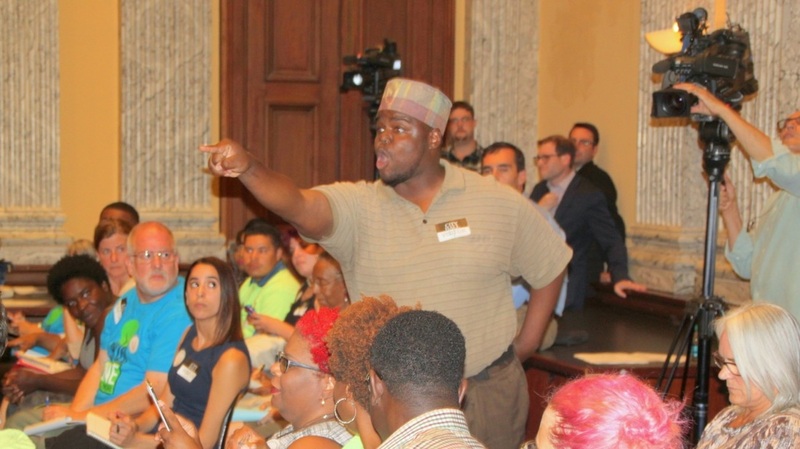 At a Daily News-Metro Industrial Areas Foundation forum last year, parents from across the city told wrenching stories about a city Education Department that breaks the law and keeps kids hanging by dragging out the process of approving special education services they need. ​JFleck At Inkstain: "This Cannot Be Normalized"
"If the Democratic Party is to recover and become relevant again, the lessons of this election is to recommit itself to the vast majority of non-rock-star Americans who still live in physical space -- blocks, neighborhoods, subdivisions, trailer parks, workplaces, fading cities and aging suburbs and towns. The core issue for these Americans is the lack of long-term living wage work, especially for those who are not college educated. This issue was rejected, ignored or fumbled by the Obama-Clinton team." 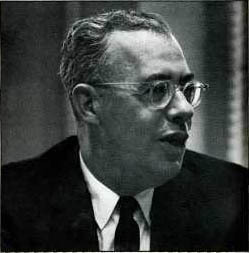 "I learned that Alinsky was right: Most people have the capacity and desire to do what is best for themselves and for others. Most people, given the opportunity to relate to and to work with people who are different from them, enjoy these experiences and grow through them. There are many pressing problems that face our country domestically and internationally today; however, we will make no progress on any major issue until — and unless — the people who aspire to be president learn to believe in the people of our country. After all, they're asking us to believe in them; the least they can do is return the favor." 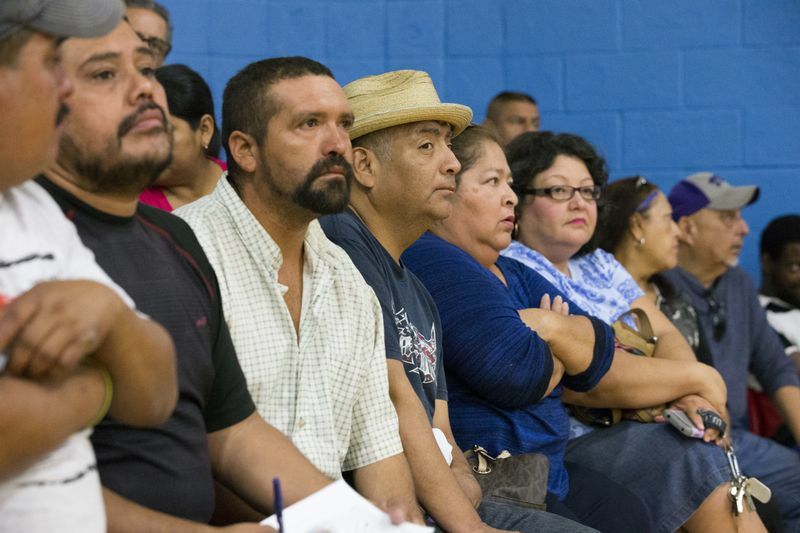 More than one thousand Latino immigrants met with democratic candidates for governor and senate in North Carolina. 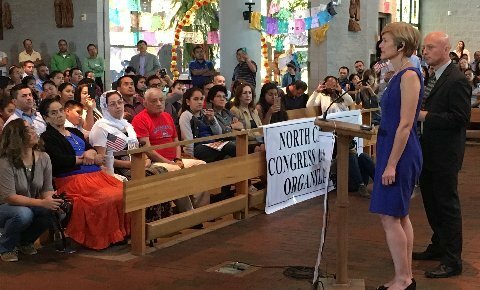 Leaders of the NC Congress of Latino Organizations won statewide support for comprehensive immigration reform and the hiring of interpreters for clinics and schools in the one hundred counties of North Carolina. It is time to recognize that more policing — without a commitment to meaningful relationships, community improvements, and proper training — is not just crippling our budget and starving other fundamental needs in our city. 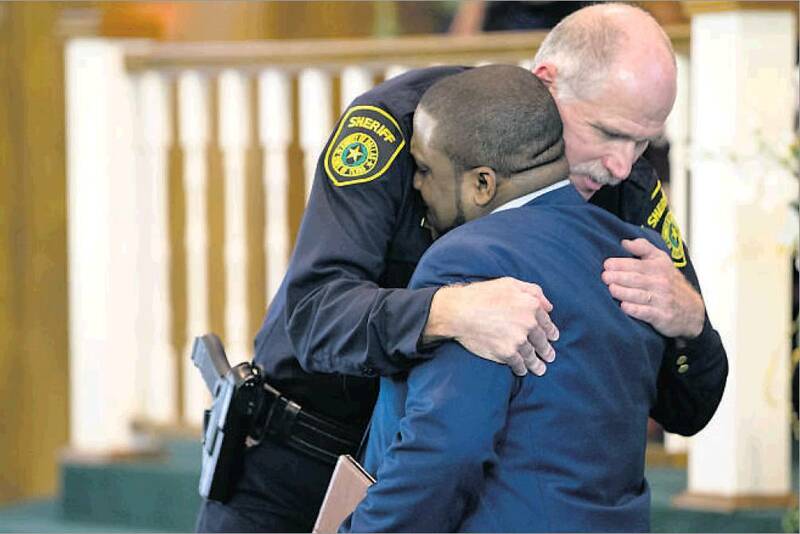 It is reinforcing the belief in African American communities that the larger community values ‘peace’ at any price. The price is more and more dollars for more and more police with more and more weapons. The price is also dead African Americans who are gunned down with regularity. Story in Urban Milwaukee. 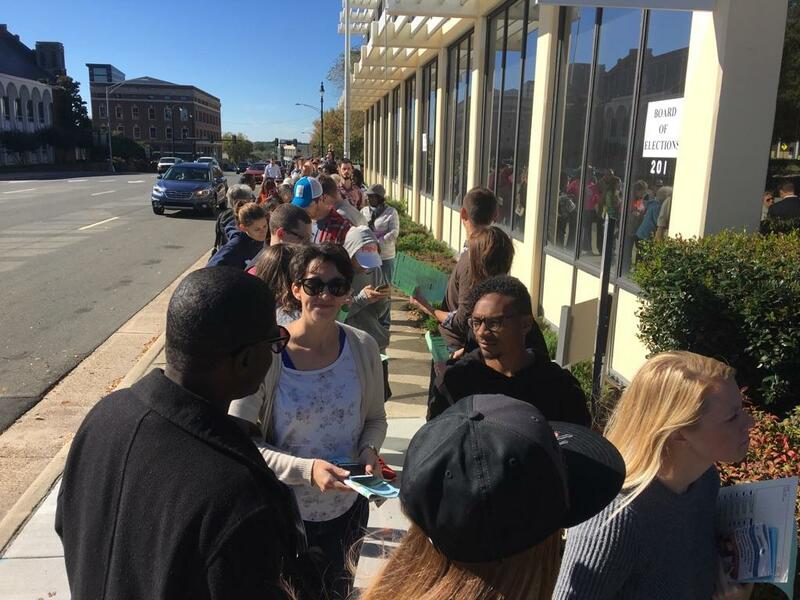 CLEVELAND, Ohio -- Several hundred voters marched to the Cuyahoga County Board of Elections on Sunday to cast ballots and protest the limited number of in-house early voting locations in Ohio. 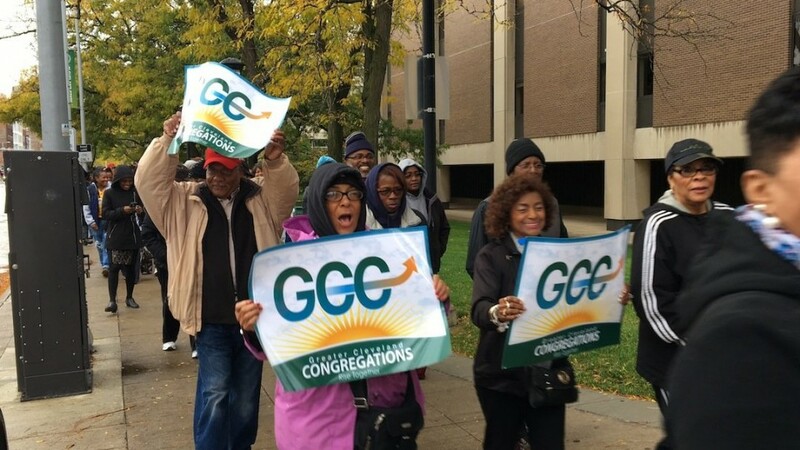 Greater Cleveland Congregations and the Amalgamated Transit Union organized the event to encourage Cuyahoga County residents to vote early before the general election on Nov. 8. The story here. Alinsky Bashers In Overdrive: Obsession With Saul David Alinsky Mutates By Frank C. Pierson, Jr.
How The New Patronage Cripples US Politics And Disenfranchises Local Achievements By Frank C. Pierson, Jr.
After successfully implementing a pilot project for undocumented healthcare in Monterey County, COPA leaders were able to secure a unanimous vote of the Board of Supervisors to create an action team, with COPA, that will study comprehensive solutions and present a proposal back to the board this spring. 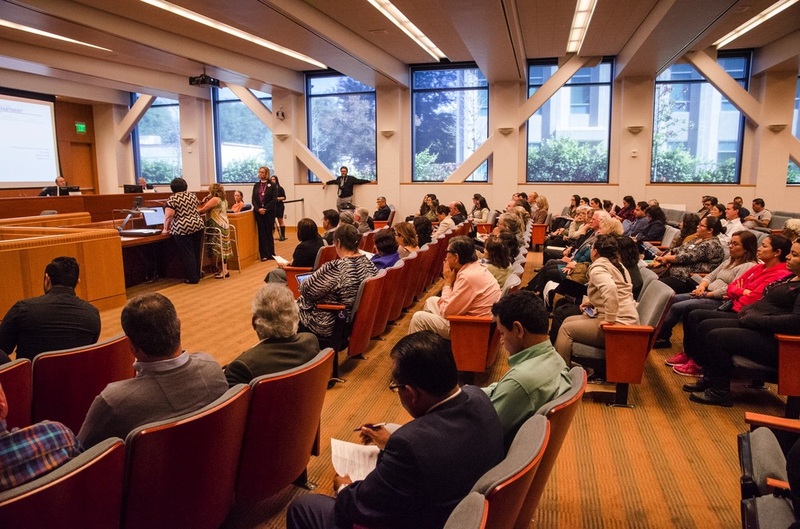 This was a major step in moving Monterey County closer to ensuring that all residents have access to quality, affordable healthcare regardless of immigration status. 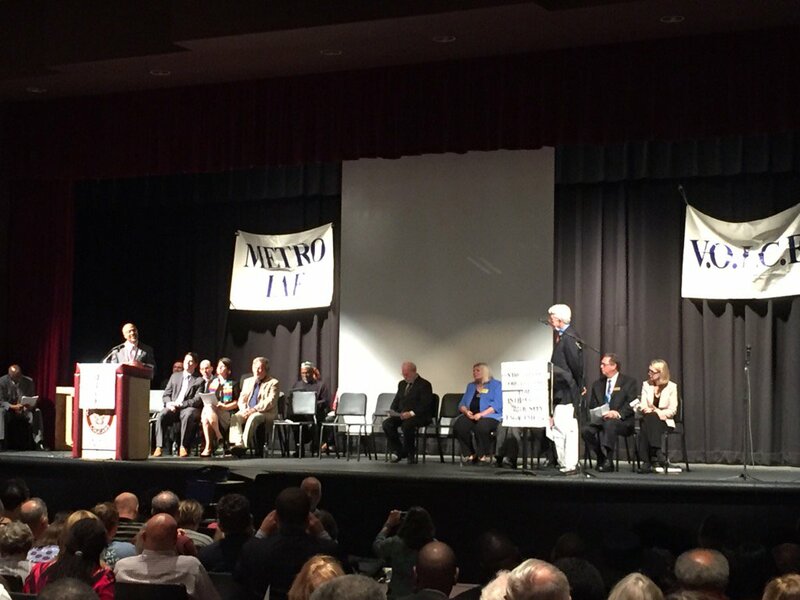 Last night VA Attorney General Herring signed onto VOICE/Metro IAF's Do Not Stand Idly By campaign AND committed to get other area AG's to join too. VOICE/Metro IAF's Do Not Stand Idly By Campaign is a market-based approach that demands gun manufacturers create guns with safety measures such as smart guns. The Do Not Stand Idly By Campaign now has 106+ Governors, Attorney Generals, Police Chief and other government officials backing it. 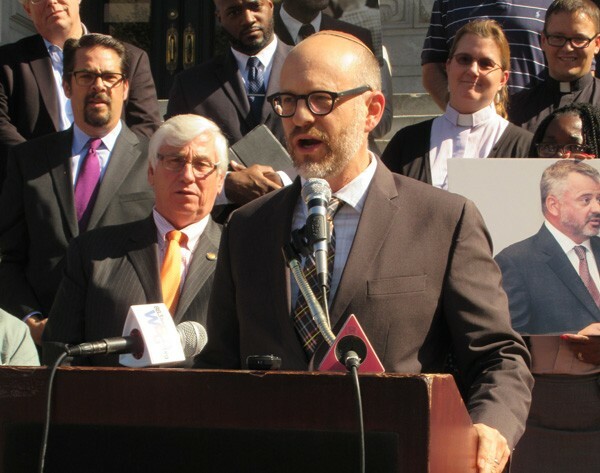 NJJN Staff Writer October 14, 2016 A broad coalition of political and religious leaders — including prominent members of New Jersey’s Jewish community — rallied Oct. 6 on the steps of Newark City Hall to demand that weapons manufacturers join them in their fight to halt gun violence. 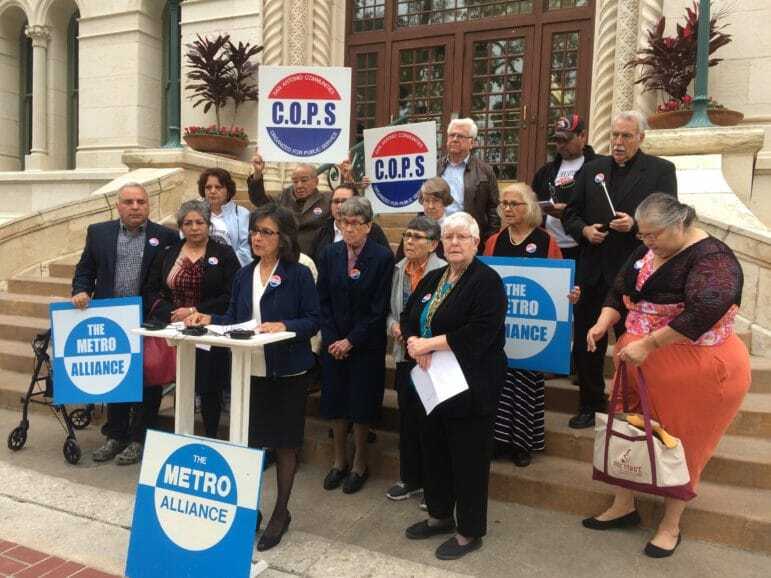 Under a banner reading “Do Not Stand Idly By,” Christian and Jewish activists urged large and small municipalities to insist that the guns they purchase for police departments include safety features to prevent the weapons from being fired by people other than the officers to whom they have been issued. The whole story here. An entire generation of union leadership has been forced to play defense. But now, standing before the 2016 Convention of the Amalgamated Transit Union, I am here to tell you that this is the time to start playing offense. Yours is the union to show the rest of us how to do it. Your leadership is the leadership best equipped to throw the ball far down the field and score. 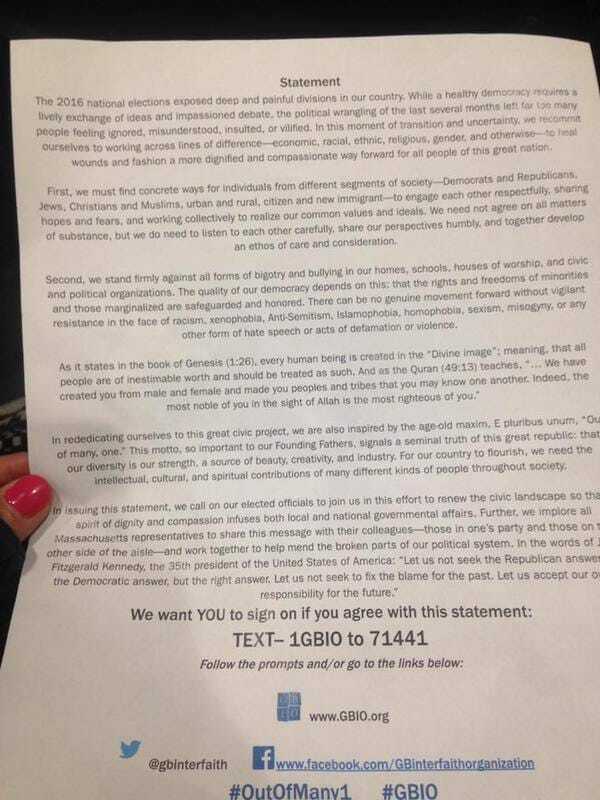 Read the address in its entirety here. What happens to a democracy if no one shows up? This is not a rhetorical question. Many of our local candidates are skipping candidate forums, debates and accountability sessions. Doesn’t being a candidate for public service require presenting yourself to the public? What about independent expenditure committees and dark money? Some of it is used for attack ads on candidates and some of it is simply used to discourage people from voting. 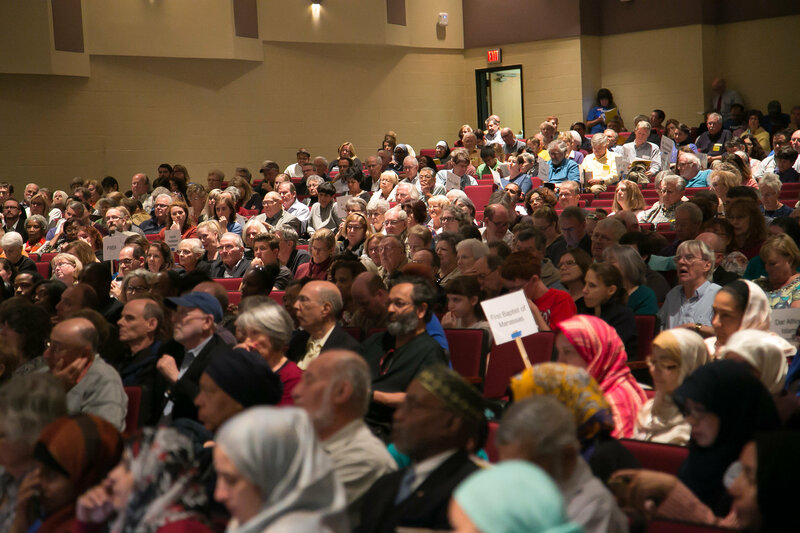 At our recent candidate accountability session at Amphitheater High School, attended by more than 500 local residents, Rev. 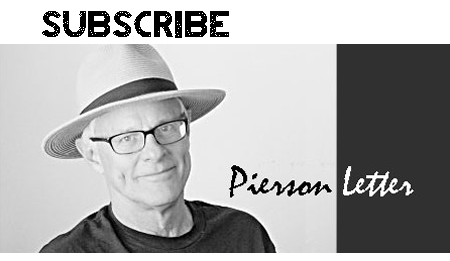 Jim Wiltbank said that the antidote to voter apathy and dark money is “us.” When we opt out and don’t participate – candidates and voters alike – we destroy the proper functioning of a democracy and renege on our civic responsibility. Probing opinion piece in Arizona Star here. 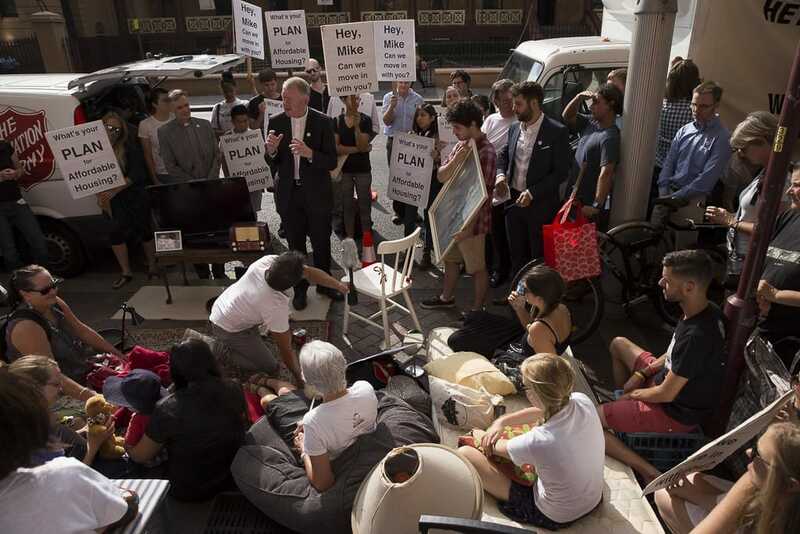 "These days, grass-roots organizations such as the Greater Boston Interfaith Organization are undertaking a disciplined outreach effort to educate Boston residents on the measure’s potential impact, according to organizers. Almost 30 church groups from across the region are holding themselves to a strict pledge. 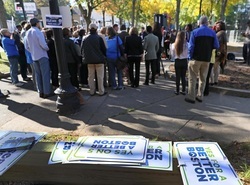 At a rally in September, each participating congregation promised to secure roughly 3,000 “yes” votes from Boston residents." 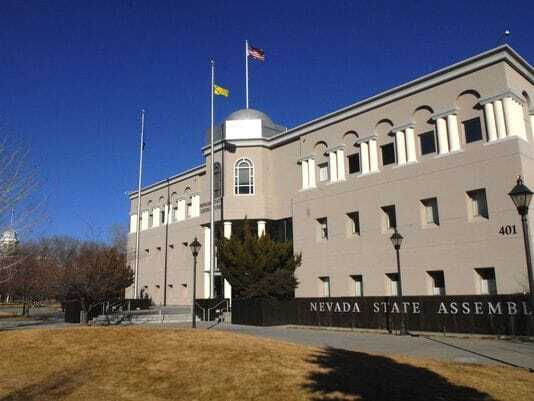 The Community Preservation Act — which adds a nominal surcharge to property taxes to create revenue for housing, environmental protections, and historical preservation -- was handily defeated. 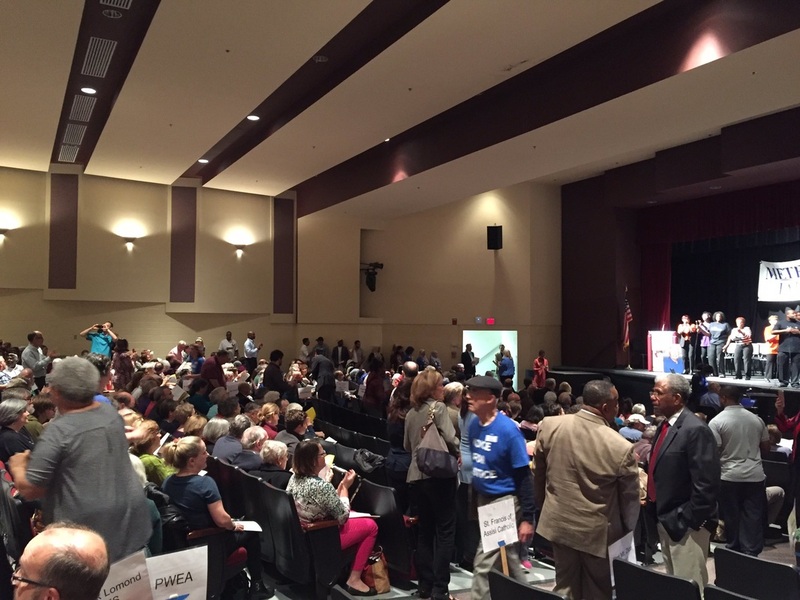 Big PCIC/IAF Action Helps Reshape Southern Arizona Politics; Crowd Of 500 Backs Issue Agenda And Pledge Voter Turnout Work; State And Local Candidates A "Yes!" 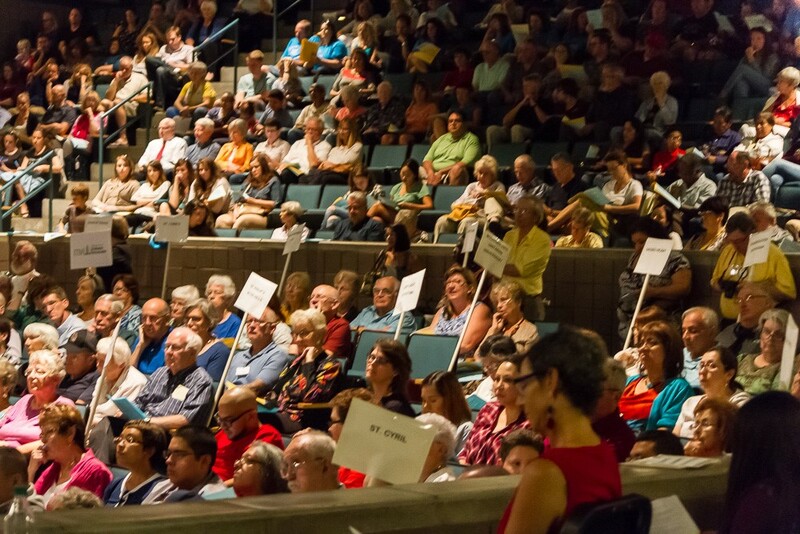 500 + attended a bilingual “Education and Economic Success for All” Accountability Session at Amphitheater High School in Tucson, AZ on Sunday evening, Oct. 2nd. 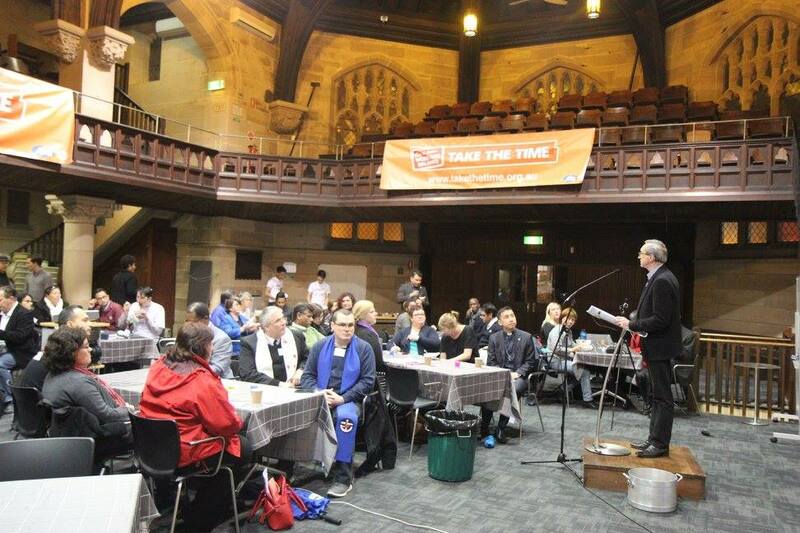 Over 50 congregations, schools and community groups participated. Candidates for state legislature and Pima County Board of Supervisors responded to a series of specific yes-no questions then explained their responses. The action focused on education, hunger/food security, SPICE (synthetic marijuana), JobPath workforce funding, and affordable housing. The session also included a discussion of the pros and cons of the $48 million Amphi Bond Proposition 447. 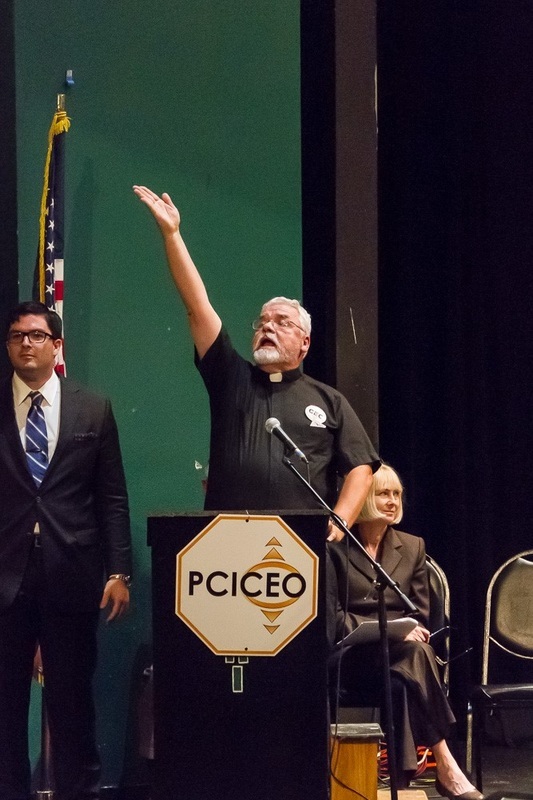 Promise of advancing substantive public business helped cement a unique alliance that included PCICEO, Southern Arizona Interfaith, the Community Food Bank of Southern Arizona, the Amphitheater School District, Literacy Connects and the UA College of Education. 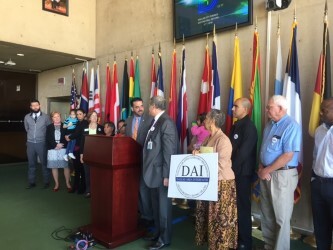 In a little over a year of public action, DAI church leaders confronted landlords, secured the support of allies, negotiated with adversaries, and ultimately changed the housing code of Dallas in a fundamental way. ​The whole story here. What happened in Oracle shouldn’t stay in Oracle. 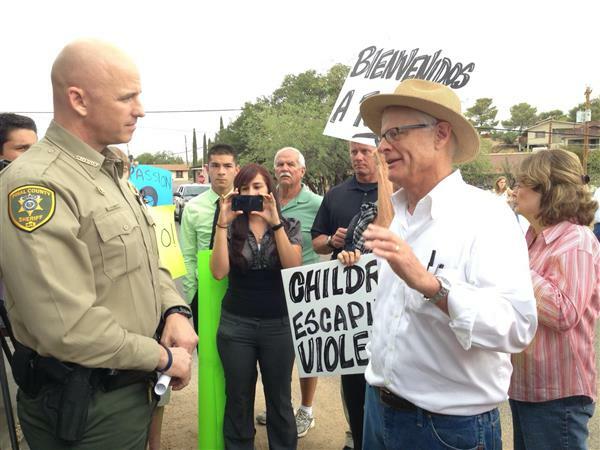 What happened in Oracle on July 15, 2014 in our small town should figure prominently in the battle that pits the principal instigator of the attempted Oracle bus blockade - Republican Pinal County Sheriff Paul Babeu - against his Democratic opponent, Tom O’Halleran, in Arizona Congressional District 1. 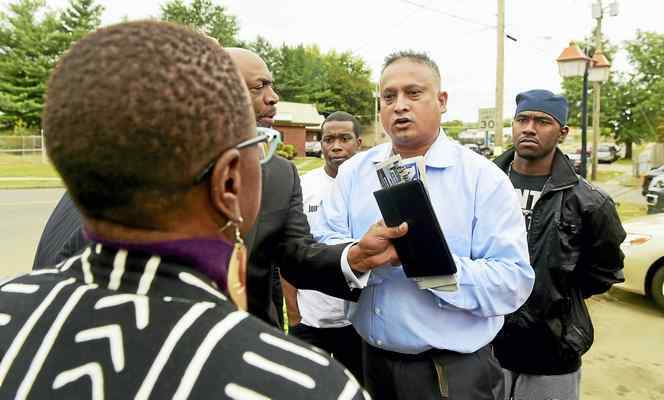 HAMDEN >> A consortium of local leaders and an organization of religious leaders called on the state Liquor Commission not to renew the liquor permit of a local pizza restaurant because of the violence that takes place outside its doors. 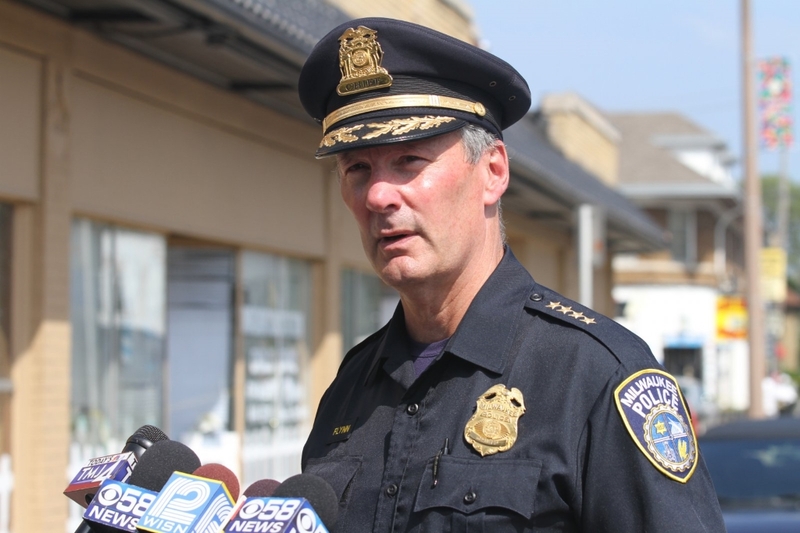 Over the past several years there have been “numerous” shootings in the area of Slyce Pizza Bar on Arch Street, including one slaying, according to Police Chief Thomas Wydra. 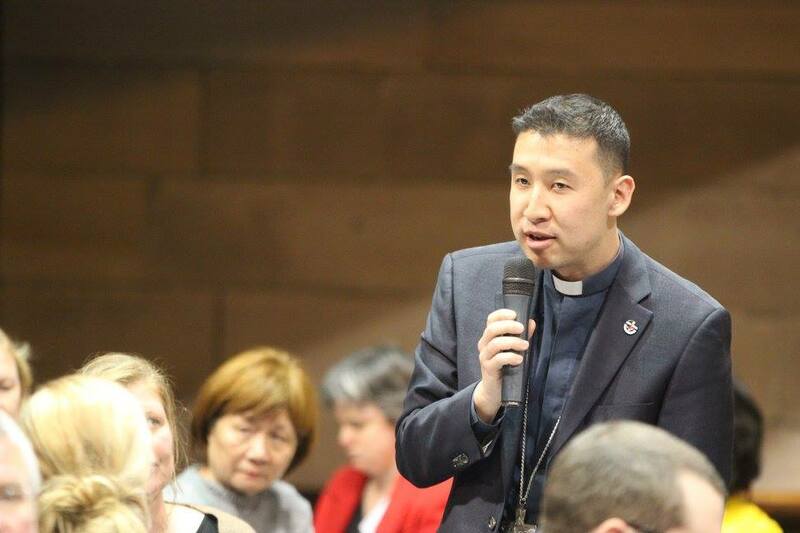 He and Mayor Curt Balzano Leng joined members of CONECT — Congregations Organized for a New Connecticut — in calling on the restaurant to stop serving alcohol. WTNH Ch 8; NBC Connecticut; New Haven Register front page coverage. Got It! The House Voted This Evening To Pass The Continuing Resolution That Includes $500 million for Louisiana Flood Victims. 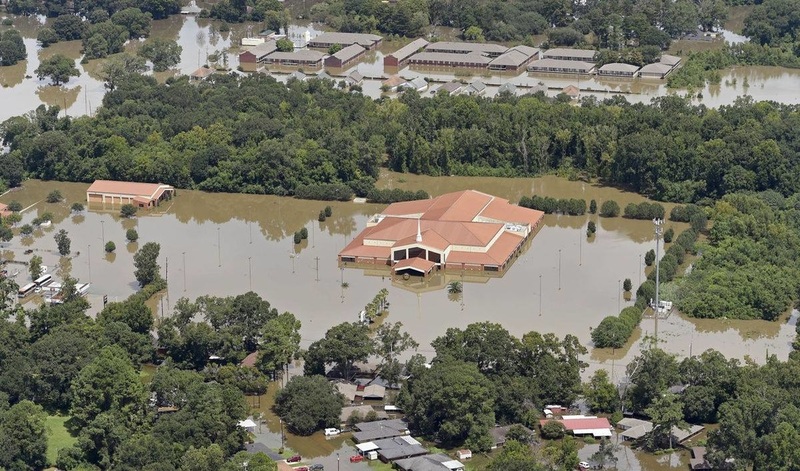 The Advocate report: The U.S. Senate has agreed to a short-term spending plan that will provide up to $500 million for Louisiana flood recovery efforts. After several days of negotiations, Senators quickly moved Wednesday to pass the stop-gap measure that will fund the federal government through Dec. 9 and prevent a government shutdown at midnight Friday. 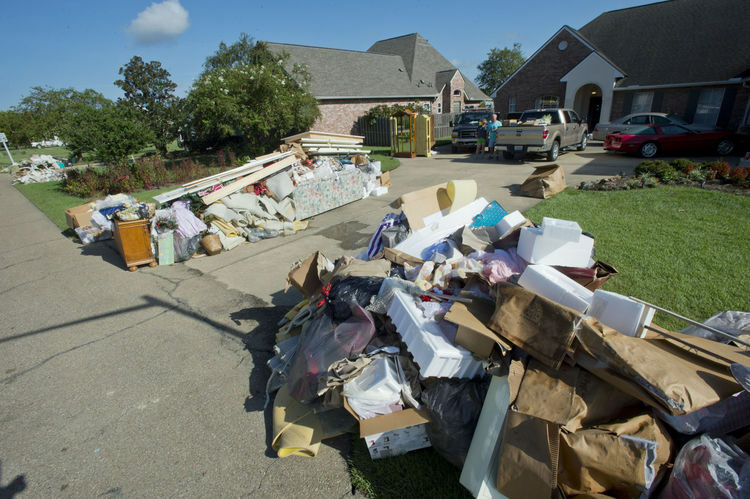 Tucked inside that measure is $500 million for states that have had natural disasters this year, the bulk of which is expected to go toward Louisiana's recovery from catastrophic floods that left 13 dead and thousands of homes damaged or destroyed. Story. 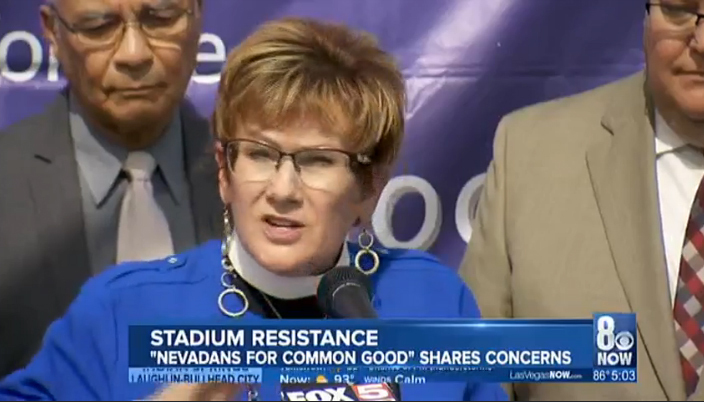 Nevadans for the Common Good is among the first organizations to take a public stance against the stadium plan developed by the family of Las Vegas Sands Corp. Chairman and CEO Sheldon Adelson, Majestic Realty and the Oakland Raiders. 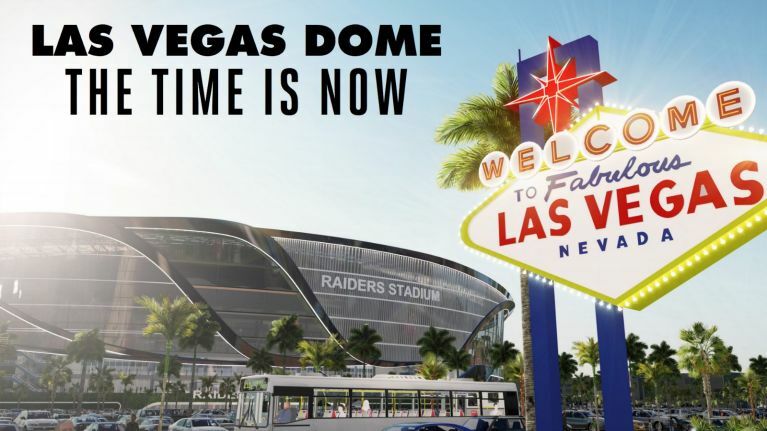 The NFL franchise’s executives have promised to seek relocation to Las Vegas if the stadium is built. The latest! The Emergency CDBG Funding for LA is still caught in the wrangling over the Continuing Resolution. The vote could happen at anytime but it looks like it will be drawn out till next week. There is some talk that the LA funding request may be put off to the lame duck session after the election. If this happens there will be a foreclosure crisis in LA. Many residents simply will not be able to cover the cost of repairing their homes and paying their mortgages. Schools that could not be reopened need emergency repairs or we will begin to see many neighborhoods abandoned. Local government will continue to see a precipitous drop in revenue due to residential relocation and small business closures. 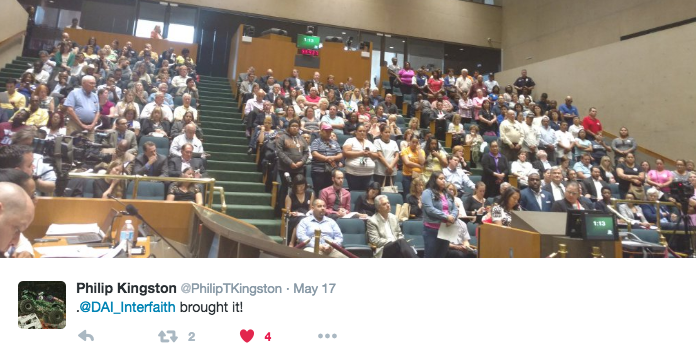 The time to act is now LA families and communities depend on it! Continue to get this message to your members. Ask them to deliver this urgent message to the leadership. 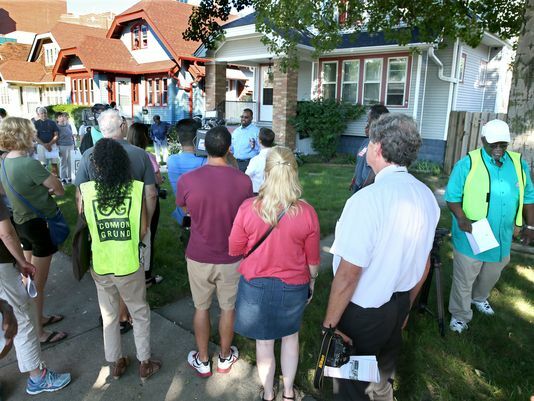 "The thing I'm most impressed with is the work (Common Ground has) done to rehabilitate foreclosed houses," said Hardy, a retired Milwaukee Public Schools social worker and deacon at Community Baptist Church. Journal Sentinel story here. 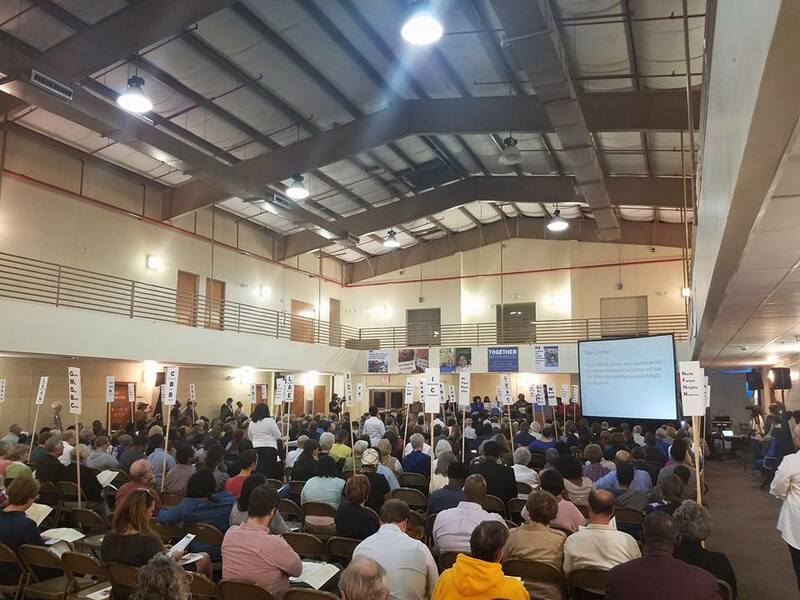 Nearly 500 members of 21 different churches and non-profit organizations gathered at St. Thomas More Catholic Church for the Orange County Justice United public assembly Thursday evening. Justice United is an organization that fights for social justice within Orange County, Chapel Hill and the Chatham County areas. 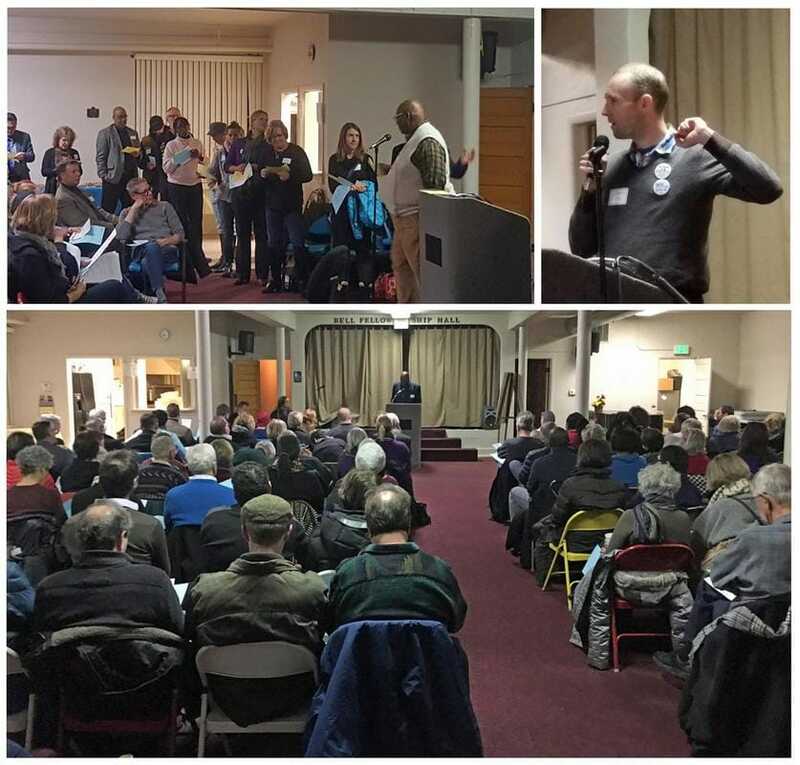 On Thursday evening, the groups met to address affordable housing and unlicensed drivers in the area. Story. 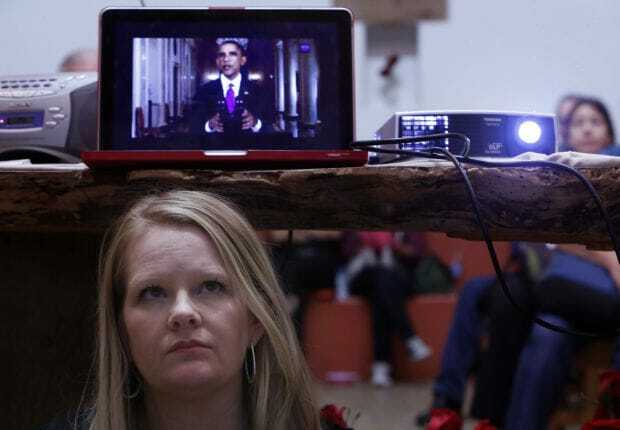 From a 2012 column she wrote in the Santa Cruz Sentinel: "Passionate movements like Occupy, capture our attention. Their message to hold Wall Street and/or Washington accountable is commendable. 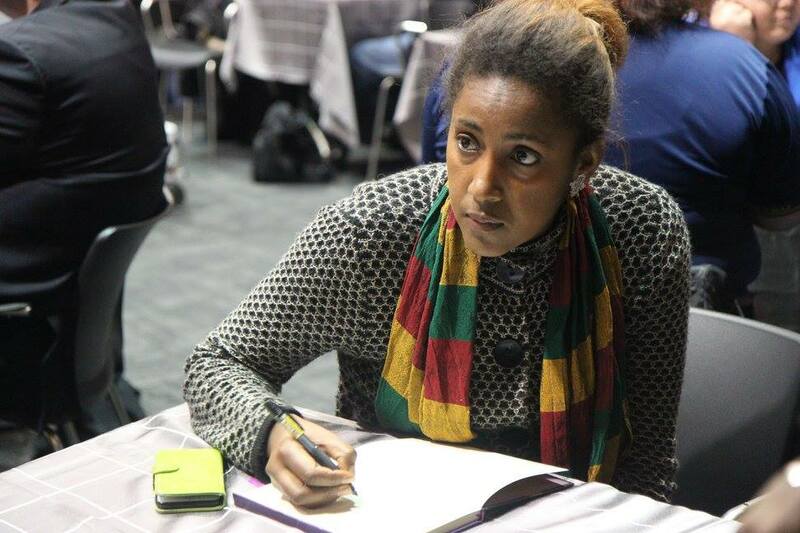 However, their movement begs questions like, how do we hold those with power accountable? 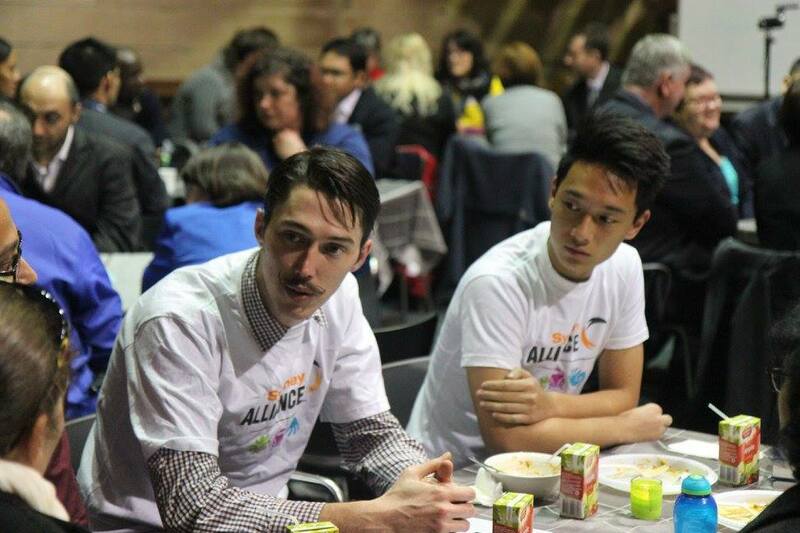 One answer is, working together and taking action on an achievable local agenda. In the Monterey Bay, the work of Communities Organized for Relational Power in Action, or COPA, a broad-based organization comprised of dues-paying faith, nonprofit, education and labor institutions, can claim many civic accomplishments since its founding June 2004 in areas of affordable housing, immigration reform, education, health care, economic development and public safety." 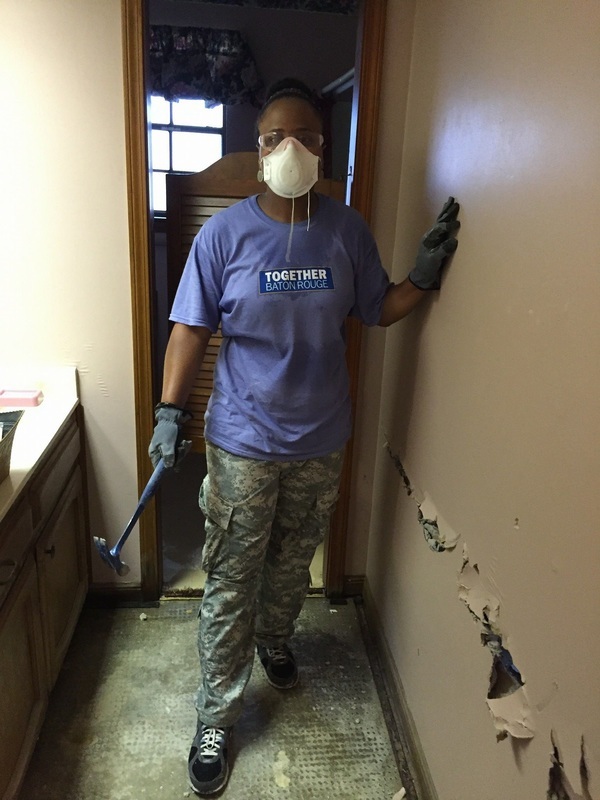 Together Louisiana/IAF Spearheads Drive For $2.6 Billion Federal Dollars To Aid Recovery From Catastrophic Flooding; Write Your Congressional Delegation To Take Action Now; Prototype Letter And Details Here. 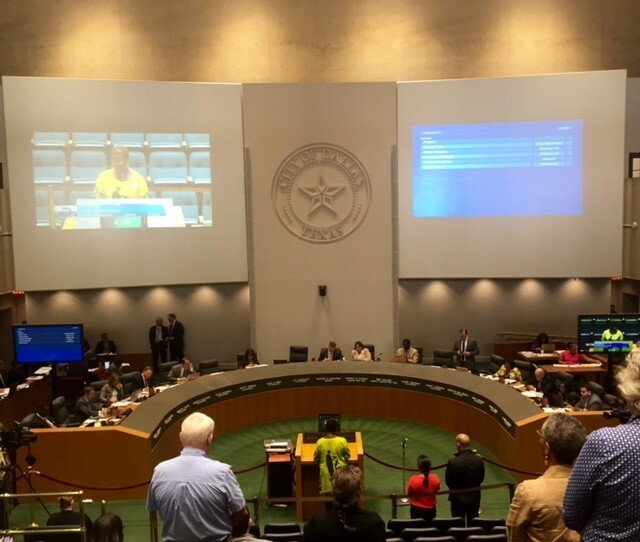 "If there is enough money in the budget to compensate the highest paid employees in the city, there should be enough to compensate the lowest ones as well. As a “city on the rise” we should aspire to set a new standard among American cities to value the contributions of all public servants, instead of merely trying to be competitive. 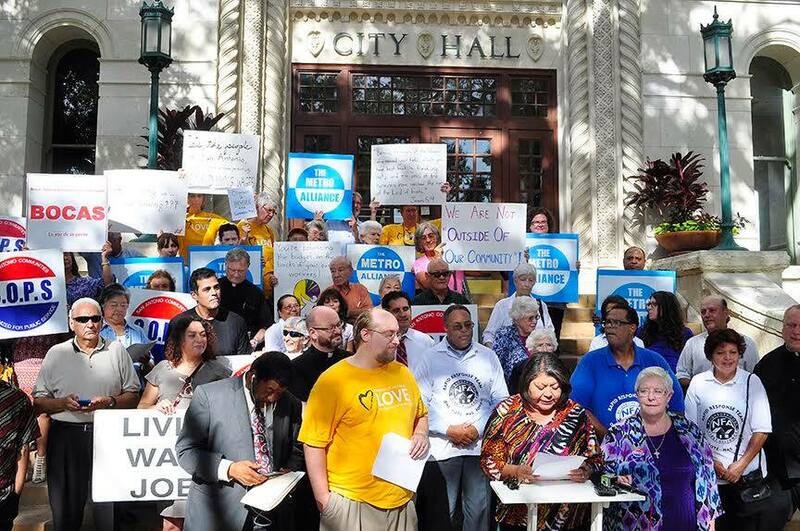 We urge our mayor and City council to do the right thing: to recognize the dignity of all workers by affording them a living wage of $15 an hour by 2018." Rivard Report here. · Profit sharing that treats the city as the investor that it is. 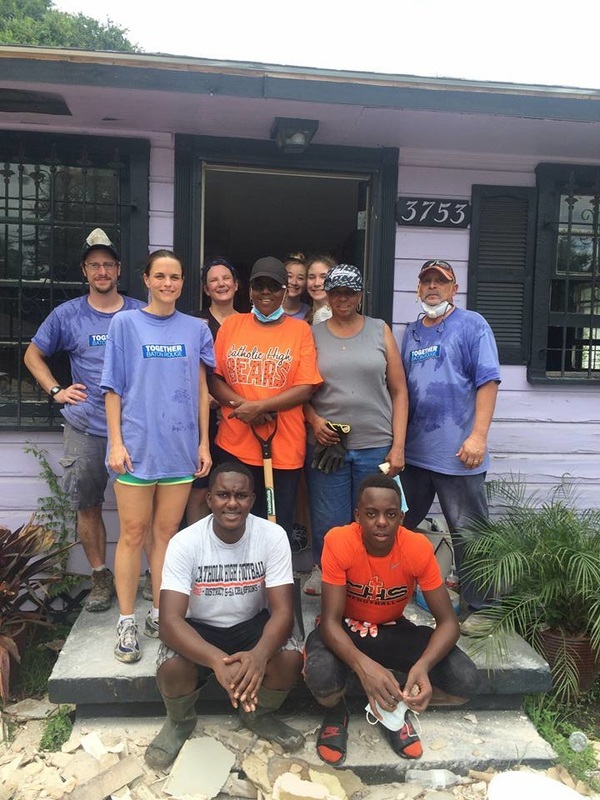 The lack of an automatic federal response aimed at gutting a city's worth of houses became clear within days to Broderick Bagert, lead organizer with Together Baton Rouge. 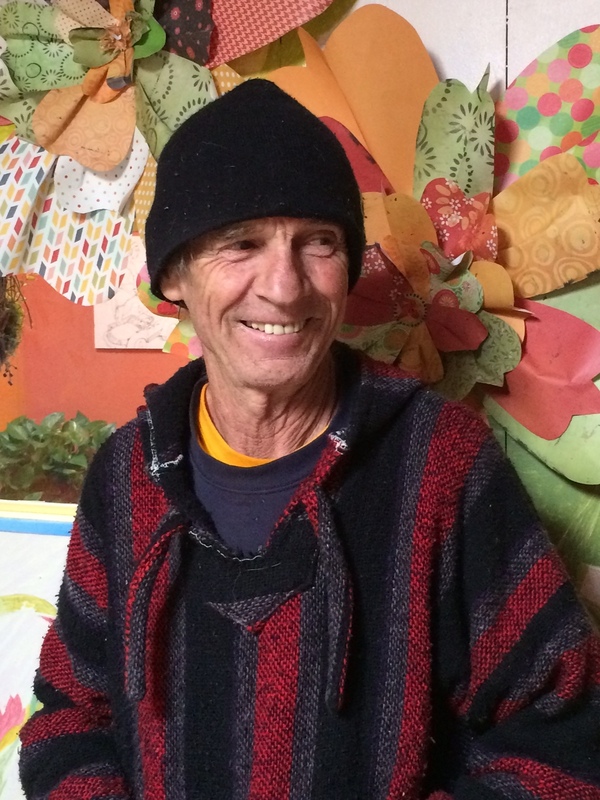 "You keep looking around for the cavalry," Bagert said. "Then you're like, s***, there is no cavalry." So Bagert and his colleagues set about building one. The developers of the massive Port Covington project on Thursday announced a $100 million citywide benefits agreement after weeks of negotiations with the Rawlings-Blake administration, key City Council members and the influential community group BUILD — which had opposed the project for weeks. The deal — the largest of its kind in city history — is seen as a key step toward the developers winning City Council approval of $660 million in bonds to build infrastructure for the project. 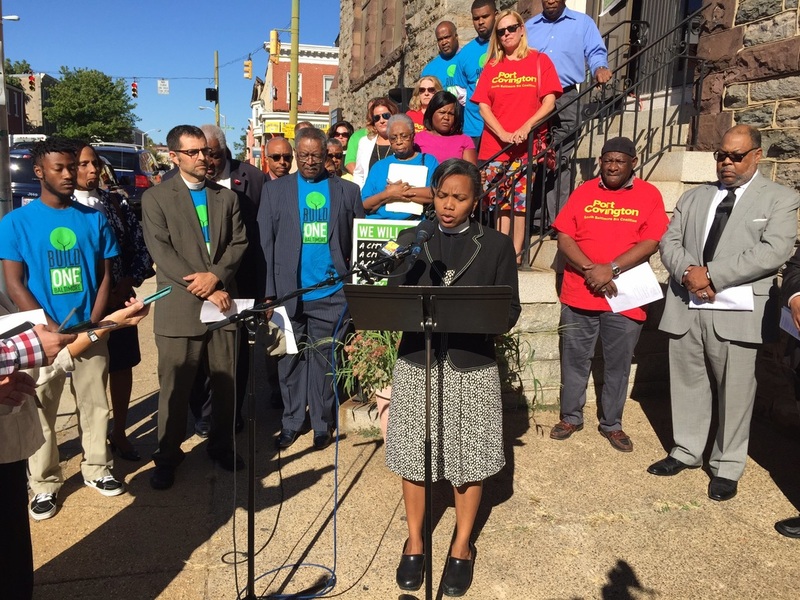 At a news conference in South Baltimore, supporters hailed the community deal as an unprecedented step for a developer who is seeking a subsidy from the city. "It's a new day in Baltimore," said Bishop Douglas I. Miles, of Baltimoreans United in Leadership Development. "To any developers out there, when you come to the table now, come with your checkbook ready." ​Clergy from Baltimoreans United in Leadership Development, or BUILD, were a party to intense negotiations that stretched over the last 10-or-so days. The group's co-chairman, the Rev. Andrew Foster Connors of Brown Memorial Park Avenue Presbyterian Church, said the agreement being announced Thursday will "play a key role in bridging" some of the inequities in the city by providing opportunities to more residents through workforce development, local hiring and affordable housing. 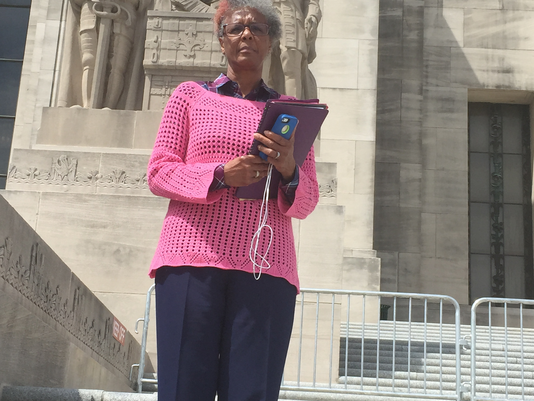 ​​Lady Carlson, coordinator of Northern and Central Louisiana Interfaith, believes ITEP has been abused. 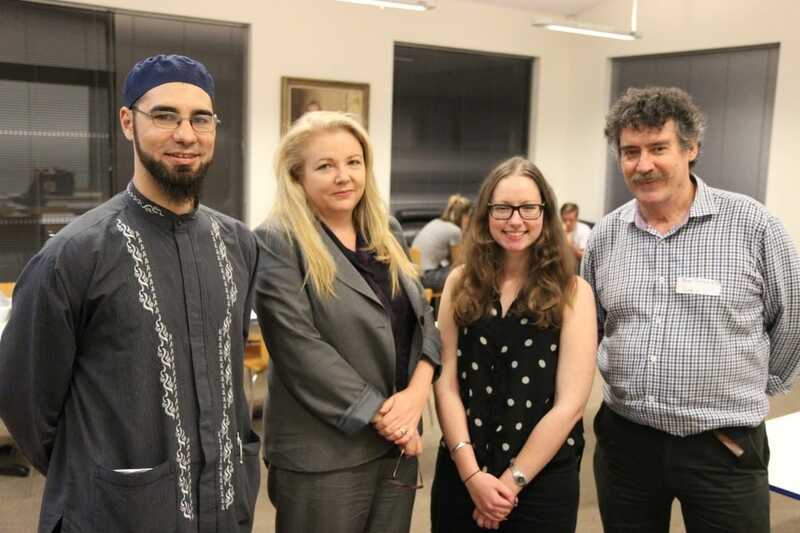 Northern and Central Louisiana Interfaith is a part of Together Louisiana and uses local voices to address ITEP and workforce development concerns. "People have gotten the exemption and haven't created new jobs," she said. "The Board of Commerce and Industry has become a rubber stamp that grants anybody or any corporation that asks for an exemption. ""We're not saying do away with it. 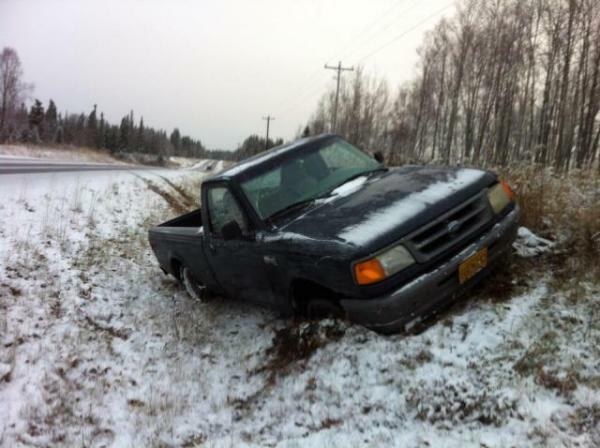 We are worried that the school district has a deficit and our roads and bridges are horrendous. 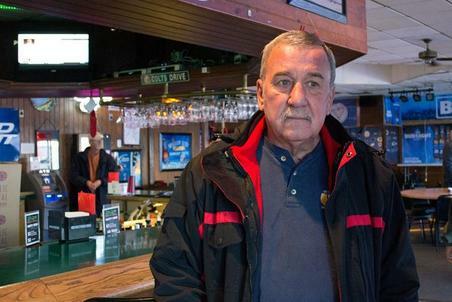 That money could come back to local taxing institutions." has been made on both sides. Some groups chose to end negotiations late last week. 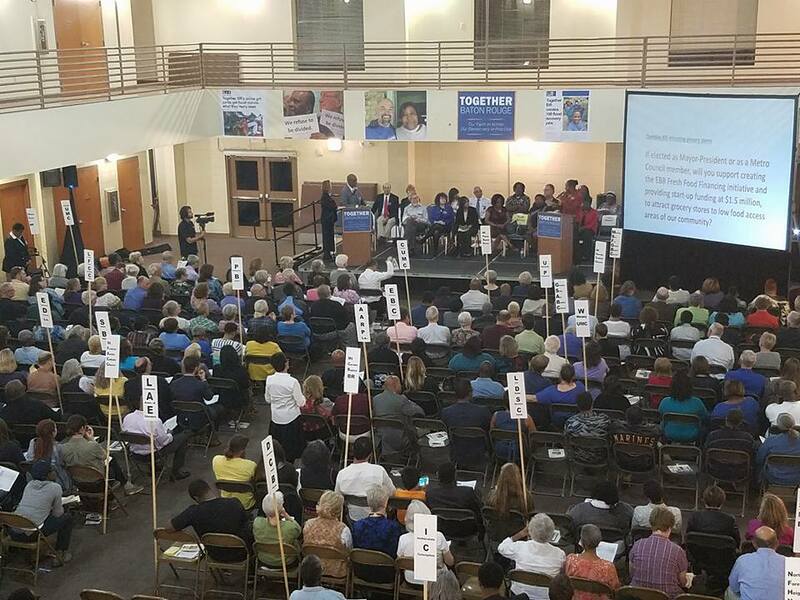 Baltimoreans United In Leadership Development – is a broad-based, non-partisan, interfaith, multiracial community power organization rooted in Baltimore’s neighborhoods and congregations. 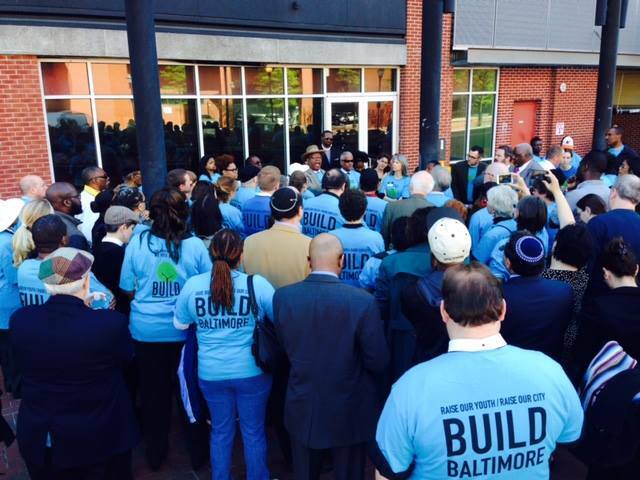 BUILD is dedicated to making Baltimore a better place for all Baltimoreans to live and thrive. 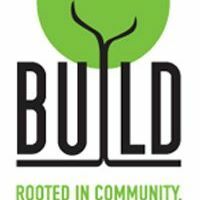 For nearly 40 years, BUILD has worked to improve housing, increase job opportunities, and rebuild schools and neighborhoods, among other issues. 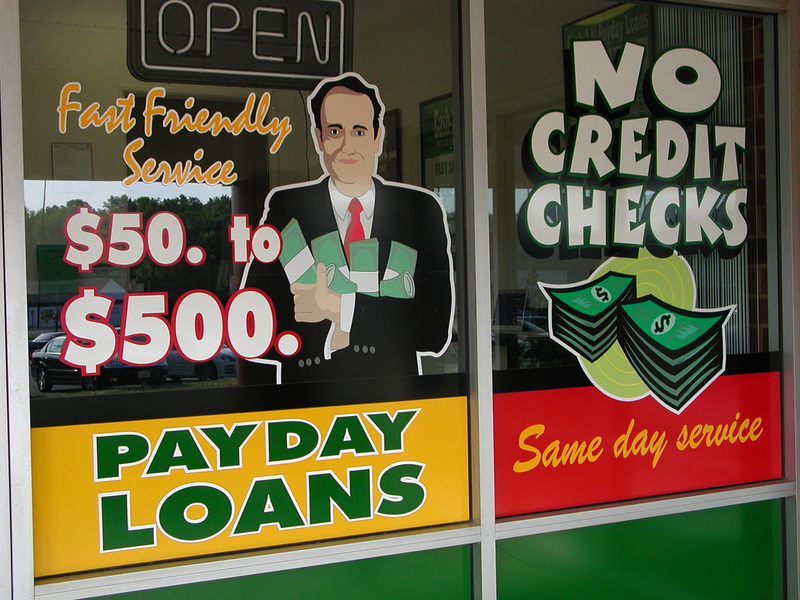 OKLAHOMA CITY (AP) -- A group of leaders from Oklahoma churches, nonprofits and Native American tribes called Tuesday for changes to the state's payday loan industry, which they say preys on poor people and often keeps them trapped in a cycle of debt. The group Voices Organized for Civic Engagement, or VOICE, also urged Oklahomans to support proposed changes to federal rules that would impose new restrictions on the industry. 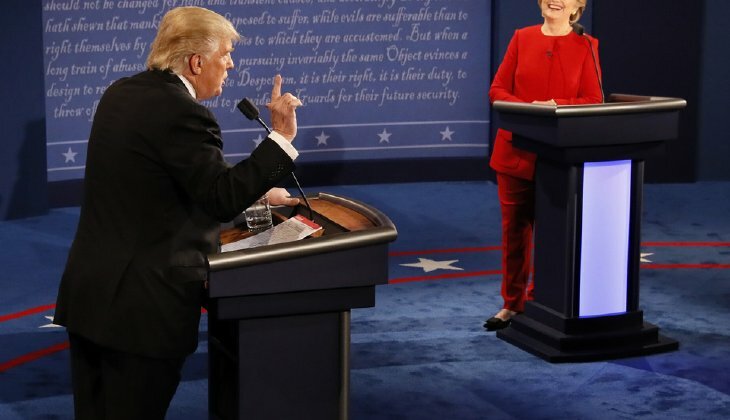 No matter who staggers first across the finish line, the Election 2016 is unlikely to end well because reigning elites linked to both parties self-servingly misdiagnose what ails the body politic and persist in advancing wrong correctives. The rest here. Ernesto Cortes, the brilliant moving force behind the Industrial Areas Foundation, launched his community advocacy after putting his academic life on hold to work with the farmworkers. 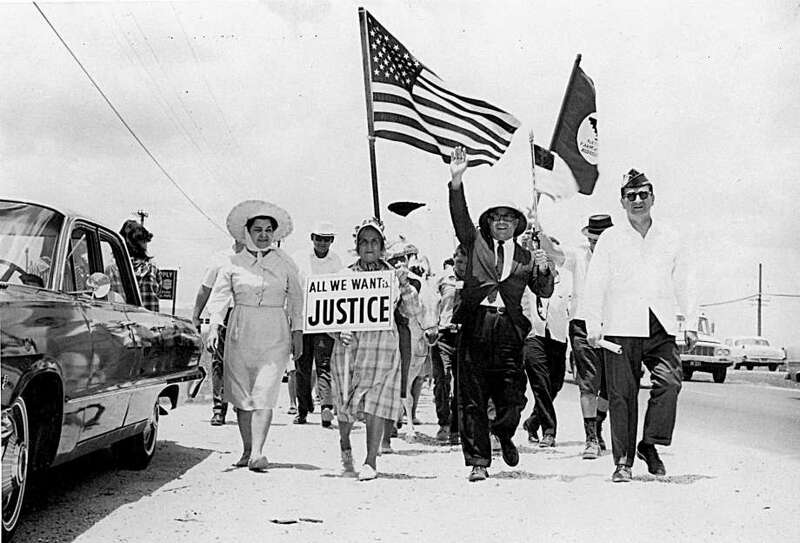 Commemorating the 50th anniversary of the 1966 melon strike, the San Antonio Express-News referenced Ernesto Cortes for helping lay the groundwork for a generation of Mexican-American political activity in Texas. San Antonio Express News story here. 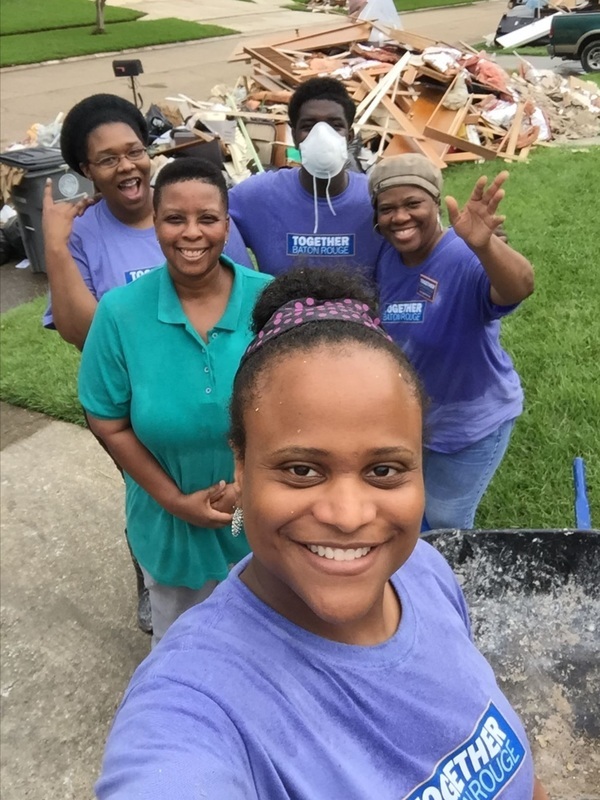 Sign-ups received there will be sent to Crisis Cleanup and to most of the major organizations doing house clean-up work, including Habitat for Humanity, Rebuilding Together Baton Rouge, LEAN, the Baptist Association of SELA, United Methodists, LDS groups, Samaritan's Purse and others. The site can be used not only in the greater Baton Rouge area, but across any flood-affected area in Louisiana. Residents, public officials, non-profit organizations and members of the media are encouraged to share this resource broadly so that residents needing gutting services may access. 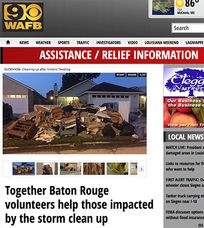 The latest: Together BR has created, at long last, a single, online sign-up option, which will feed into the Crisis Cleanup master database and go to most (and all, if they want it) of the organizations doing cleaning and gutting work. The sign-up is www.gutcheckLA.com. 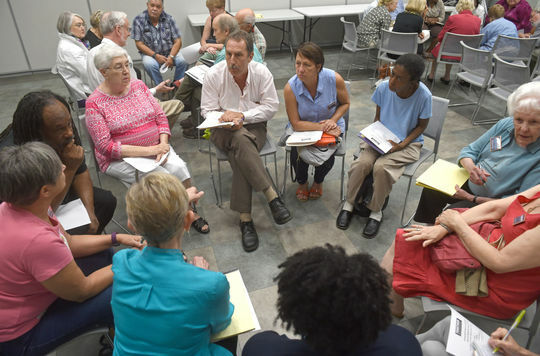 A group of residents is looking back on the disasters and racial unrest that enveloped Baton Rouge this summer and is brainstorming policies local government could implement to move the parish forward. On Thursday evening, the faith-based community group Together Baton Rouge brought together around 50 people who live in both north and south Baton Rouge districts to reflect on the events of the summer. The aim: to outline platforms they want candidates running for Metro Council to recognize and, once elected, to implement. Meeting at the Bluebonnet Branch Library, the group covered vast ground, deciding they want political leaders to address: drainage and runoff water regulation; police reform; economic development in under-served communities; improving access to healthcare; traffic and transportation problems; and increasing access to fresh food. “The city really should not be in the business of subsidizing affluent enclaves, especially one year after the unrest,” said the Rev. Andrew Foster Connor, clergy co-chair of the group BUILD. “Sagamore can do better,” Foster Connor said, of the affordable housing component of the TIF proposal — at present, a 10% goal. “Some of the weakest language” in the deal, he said. Story here. 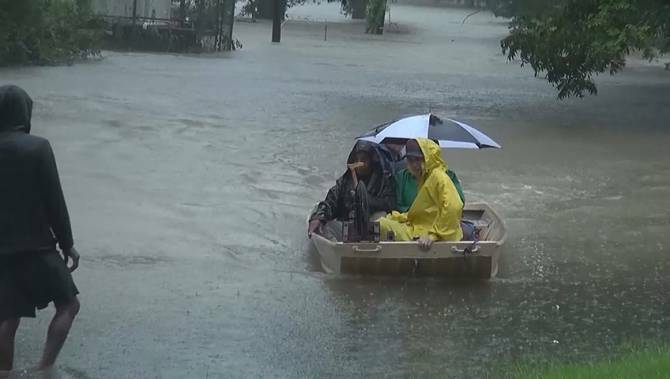 "If they don't get this wet stuff out of their homes in the next few days, the entire home will be contaminated,” retired Lt. Gen. Russel Honore told the volunteers. 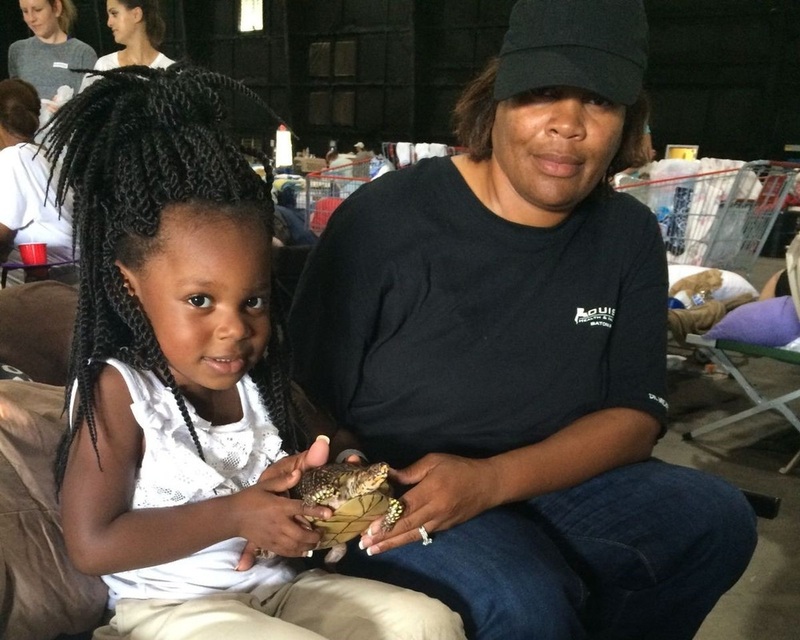 Organized by Together Baton Rouge, the “Gut Check Saturday” event paired volunteers with flood victims. 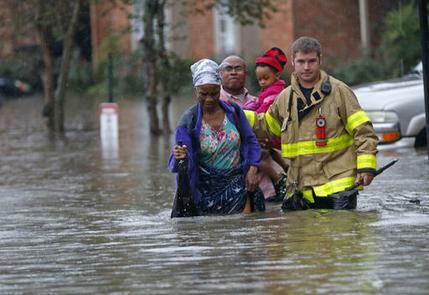 TBR's FLOOD DAMAGE SURVEY for residents with flood damage. Answers help assess the community's needs and inform policy responses from federal, state and local government. AFTER YOU COMPLETE THE SURVEY: Please text LAfloodsurvey.com to everyone you know who has suffered damage. To make a donation to support the recovery, please click here. ​See TBR's recovery fund accountability message HERE. 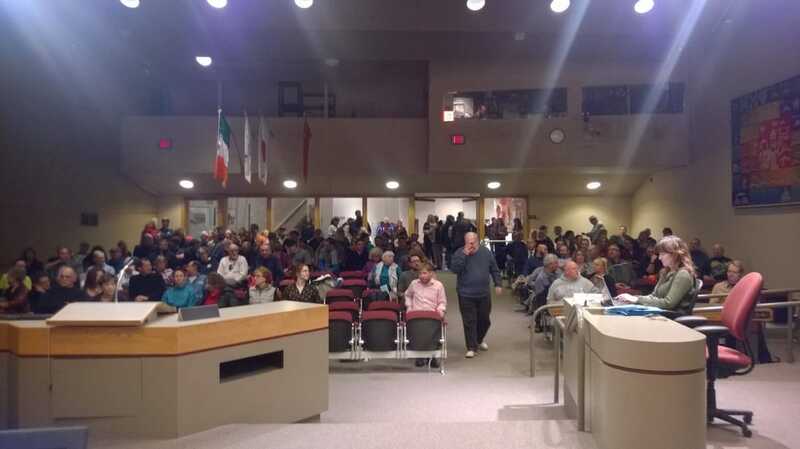 ​hundreds plan how to remove SPICE drug poison from neighborhoods. Here. Comments: I am 73 years old and this has taken a mental and physical effect . 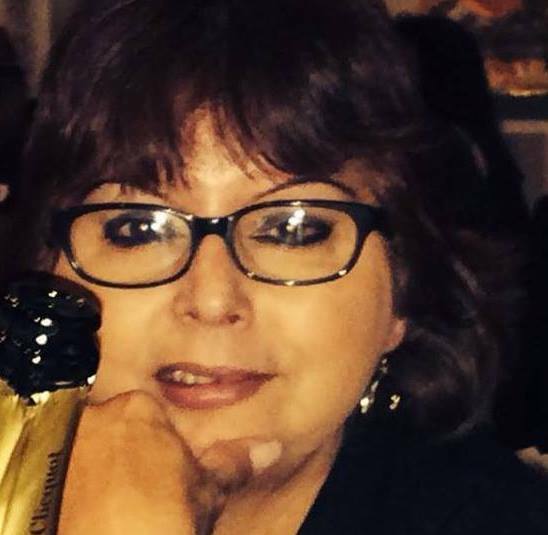 I have 1 kidney...blind in 1 eye...heart issues...I am literally HOMELESS....PLEASE HELP ME...I ALSO LOST MY JOB...AND JOB BUILDING WAS DESTROYED. Comments: Please Help me with assistance... God Bless Us All. FEEL SO ALONE THROUGH THIS DISASTER, I KNOW I HAVE GOD BUT ITS SO HARD ALONE... NO FAMILY TO HELP ME AND REALLY DON'T KNOW WHAT TO DO, CAN'T STOP CRYING AND STAY PRAYING. 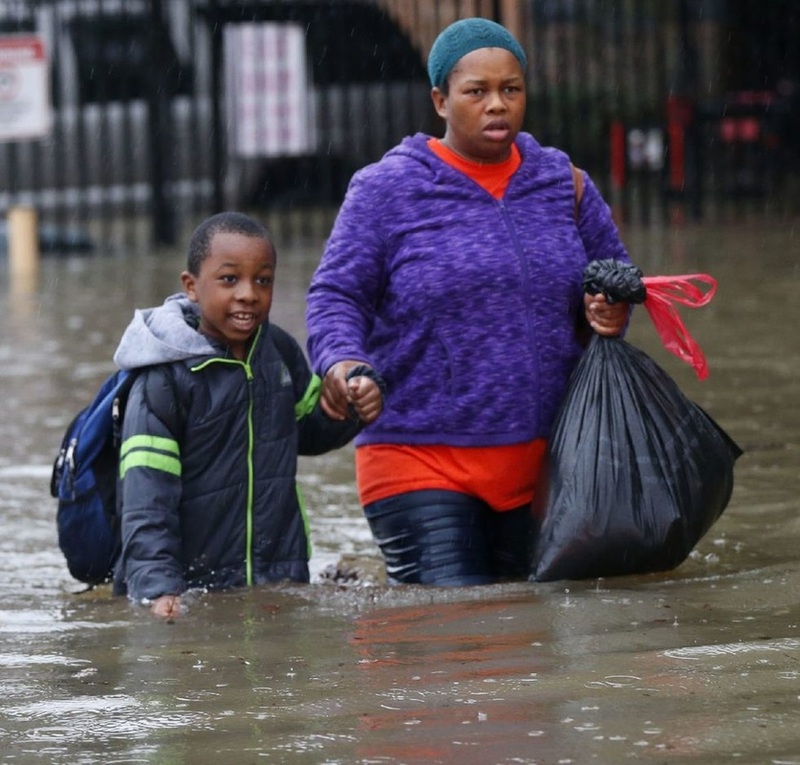 100% Of Funds Will Go To Immediate Flood Recovery In Baton Rouge and South Louisiana; Urgent Needs, Local Knowledge Drive Response Effort; Citizen Capacities Fully Engaged; Donate Here. 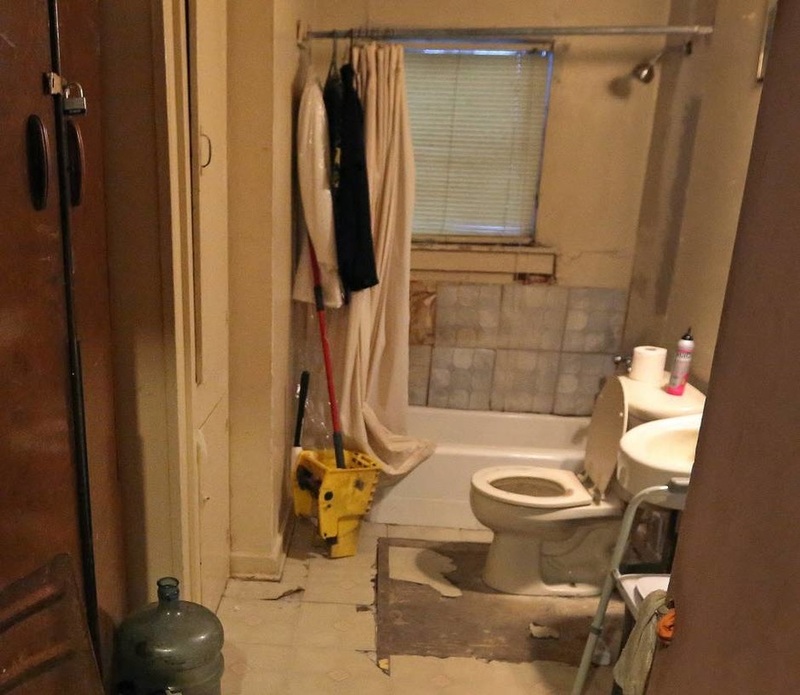 The city will hire 15 new code officers next year to handle single-family houses. 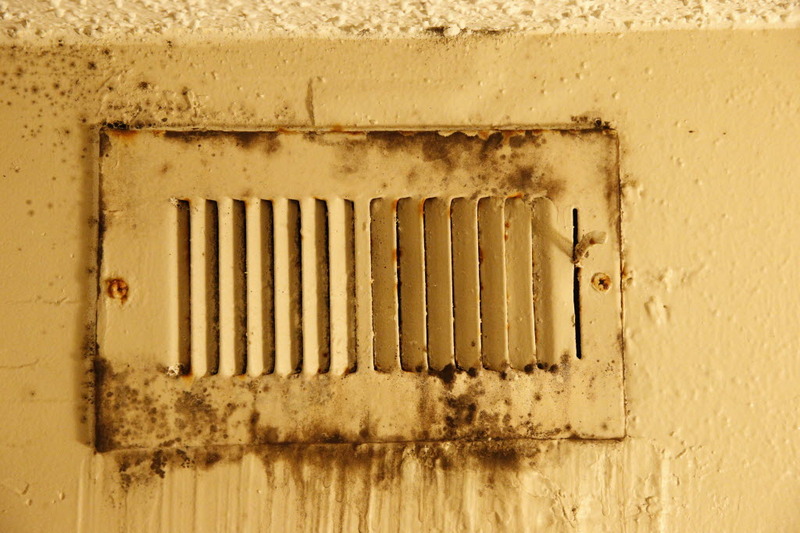 The city’s 50,000 rental homes and condos, which will have to be registered as rental properties, will be inspected in response to complaints and once every five years under the proposed rules. 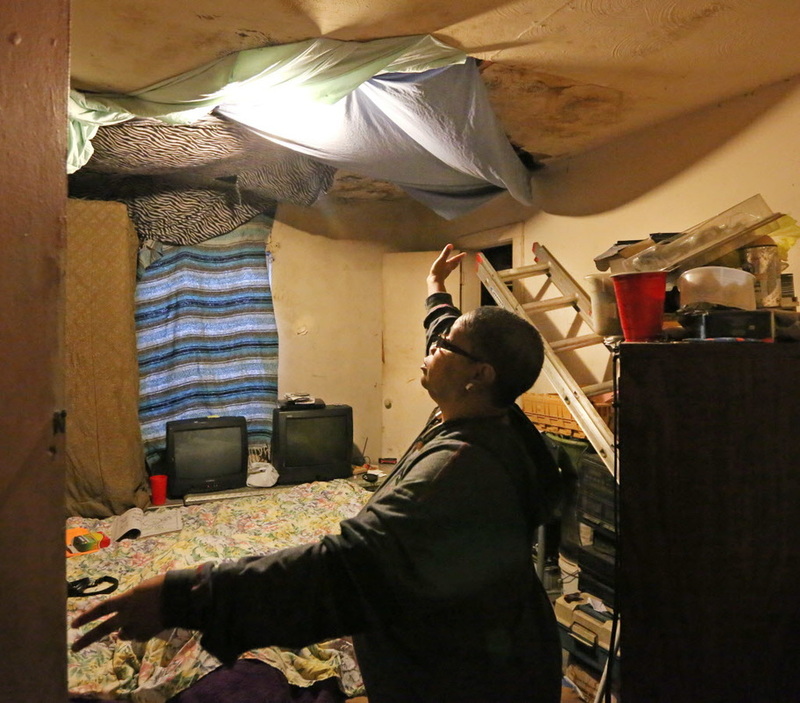 Dallas Area Interfaith initially brought the concerns to council members after Bachman Lake area residents complained about bed bugs, mold, air conditioning problems, and issues with landlords. The powerful citizen organization has kept the pressure on. Dallas Morning News story here. ... working to bring real hope to Milwaukee and Sherman Park. 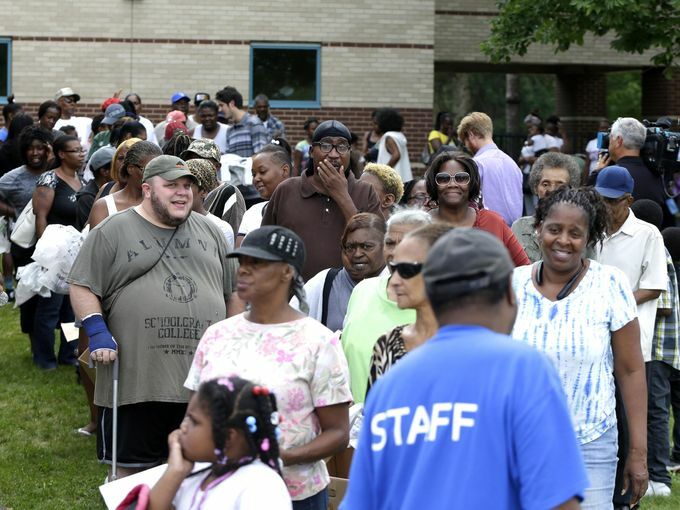 Common Ground was in Sherman Park before the unrest and we will be there long after - pushing mayor and common council to make a real investment not just give lip service. Story here. 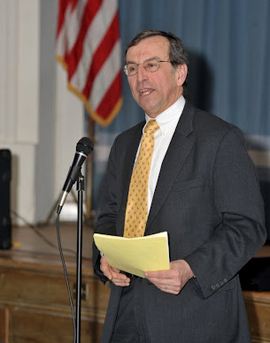 Doug Wade, a small business owner in Bridgeport and leader in the Council of Churches of Greater Bridgeport, and IAF Organizer Matt McDermott are quoted in this NY Times piece about health insurance rate increases. See link to the article below. Bitter conflicts have erupted between insurers and consumers at hearings around the country as companies request double-digit premium increases. 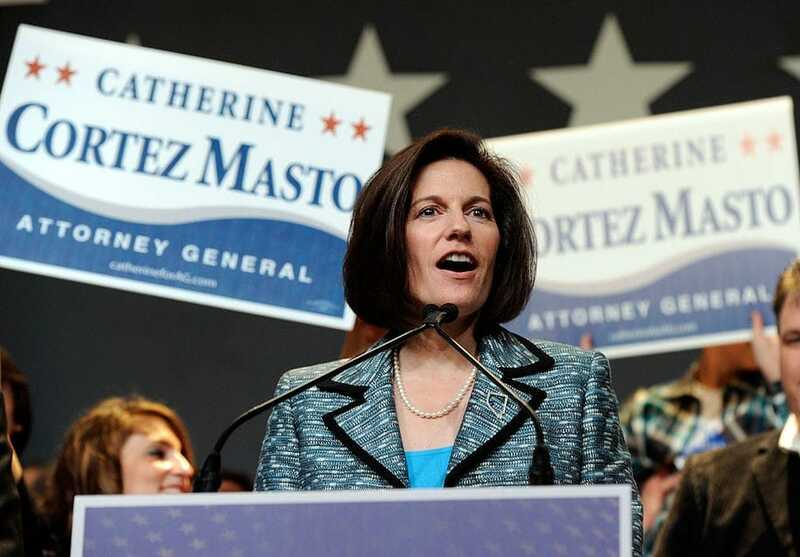 This coverage was based on CONECT testimony at rate hearings last week, that the citizen organization first fought to put in place back in 2011. At that time CONECT objected to Anthem, ConnectiCare and Aetna's huge increase requests for 2017. ConnectiCare had the gall to increase their rate increase request the day before the hearing to 42.7%! CONECT fought to create these rate hearings as a way to have a voice in a typically very cosy relationship in Hartford between insurance companies and insurance regulators. After hearings in the summer of 2014, CONECT won a $66 million savings for Anthem customers. Again last summer, rate hearings resulted in reductions in 3 companies requests, again saving tens of millions. Though the NY Times makes it sounds as if insurance companies are turning the hearings to their favor, CONECT fought for and won a deal for hearings before the ACA took effect and have used them to good effect. The requests this year are onerous, no doubt. CONECT is hopeful that the hearings continue to put pressure on the Department of Insurance to hold the line. There was one problem. She didn’t know how she was going to pay for it. Then she learned about Arizona Jobpath, which helps people earning minimum wage get an education and become skilled workers in various fields. That was 17 years ago. 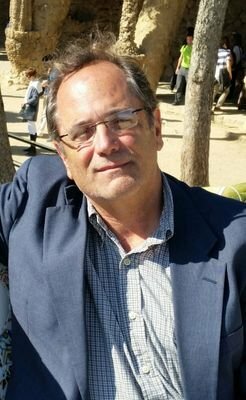 Today Popp is director of clinical operations for Radiology Limited in Tucson. 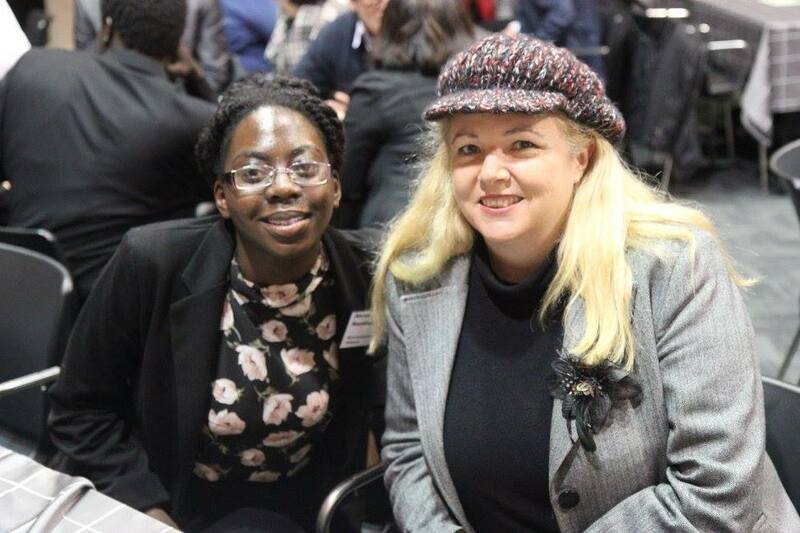 “The big part of the success I had was because I had Jobpath,” she said. 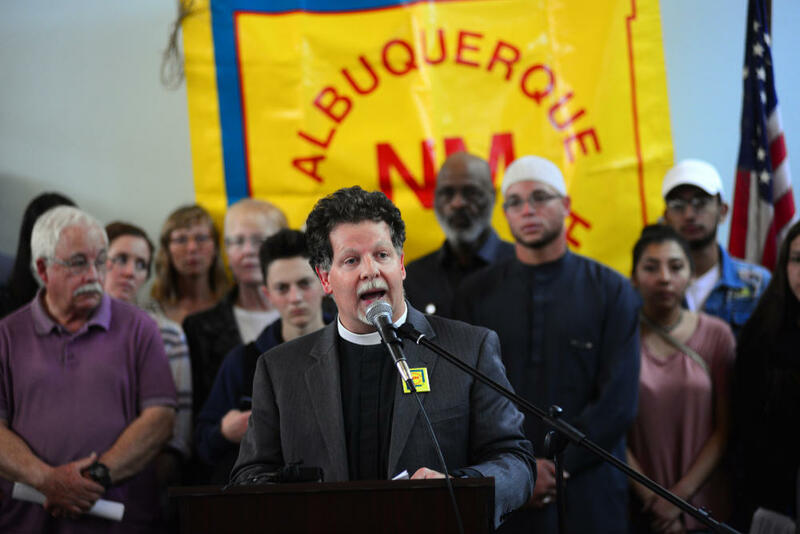 The Pima County Interfaith Council launched Jobpath in 1998. The program offers job training, matches students with scholarships to community college and places students in apprenticeships in the fields they hope to enter. Popp graduated from Jobpath in 2001. 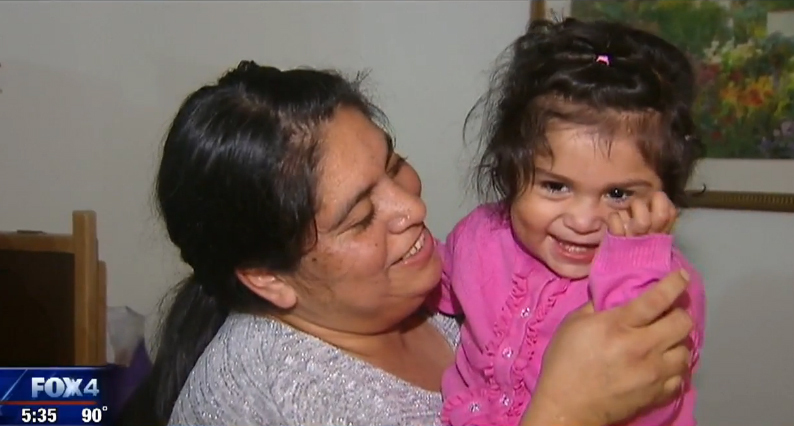 She said one of the most important things she learned was how to be a productive employee. For her, that’s a key strength of the program — it teaches technical skills along with “soft skills” that help graduates succeed out in the workforce. 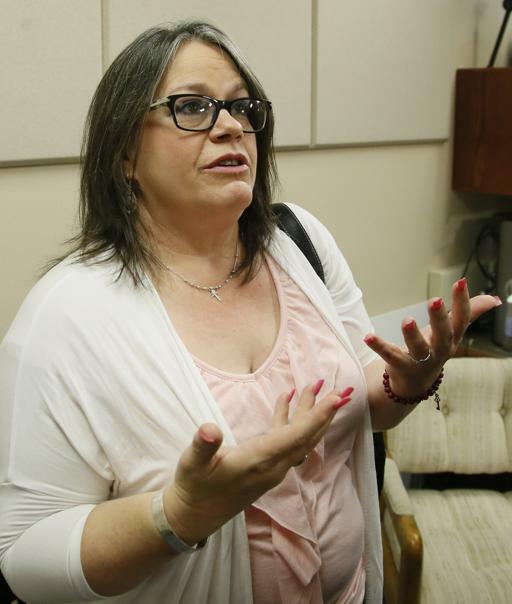 “The college teaches you the technical part of it,” she said, “Jobpath teaches you the human part of it.” Read the whole story in the Arizona Daily Star here. The philosopher Cornel West once defined democratic faith as “a Pascalian wager (hence undermined by the evidence) on the abilities and capacities of ordinary people to participate in the decision-making procedures of institutions that fundamentally regulate their lives.” I love this description because it captures how difficult it can be to believe in our democratic system or in the power of ordinary citizens to make a difference within that system. Though we desperately want to believe in these things, it feels as if they are constantly “undermined by the evidence,” to borrow West’s words. Especially now, as we find ourselves witnessing a particularly contentious presidential election, it is all too easy to become cynical. This summer, I am interning with Dallas Area Interfaith (DAI), an organization that embodies democratic faith in a way I have never before experienced. The rest here. Fayette Place is the Durham’s largest undeveloped downtown transit-oriented site that has languished as an eyesore on the historic Hayti community. 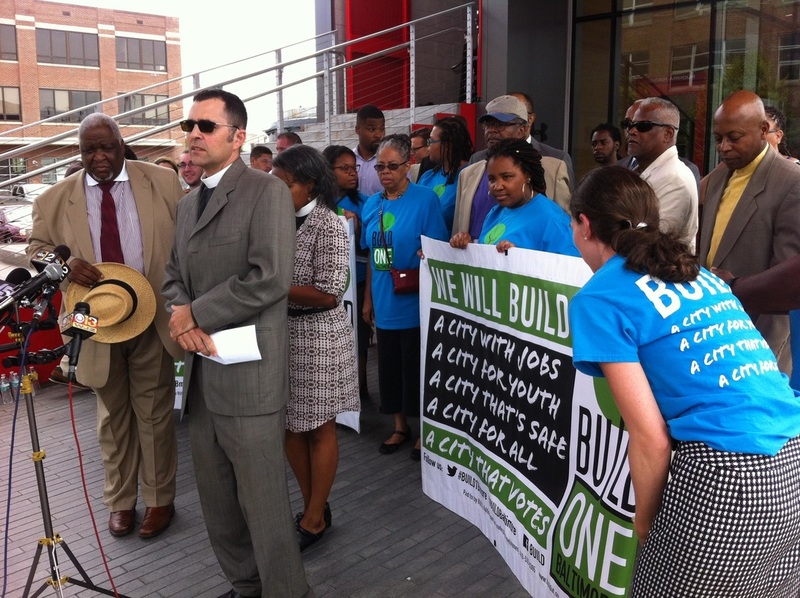 On July 27, 2016 more than 200 CAN and Hayti community leaders held a press conference with elected officials including the Durham Mayor, City Council members, State Representatives to bring attention to this forgotten area and demand the Durham Housing Authority (DHA) and City of Durham work together to reacquire site control immediately, before covenants for affordable housing development expire on August 7, 2017. 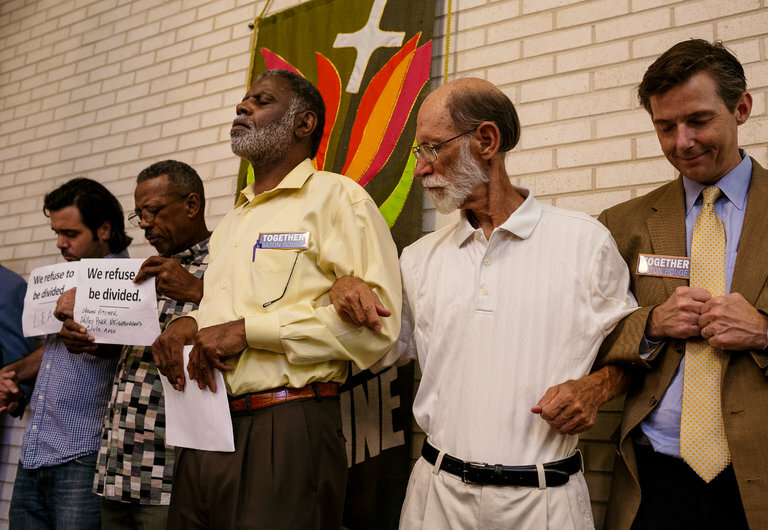 Durham CAN Clergy and Pastors from surrounding churches raised their voices to say Enough is Enough. "Neglect and abandonment is what Campus Apartments -current owner of Fayette Place- has done for  years", Rev. William Lucas, Pastor of First Chronicles, said. Hayti pastors challenged elected officials to create a space that all Durham can be proud of and reflect the beauty and history of the historic Hayti community. 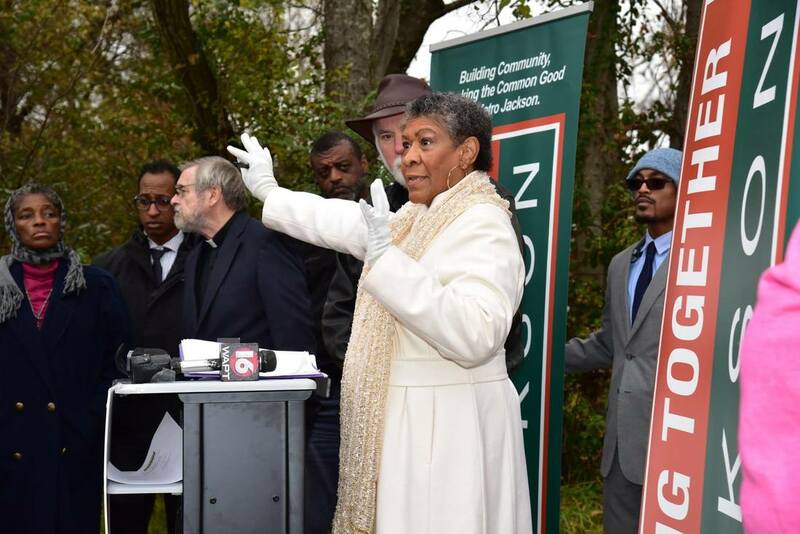 “Nothing will be built in this area without the consent of CAN and Hayti leaders,” declared Bishop Clarence Laney, Pastor, Monument of Faith Church located a block from the Fayette Place and Durham CAN Clergy leader. 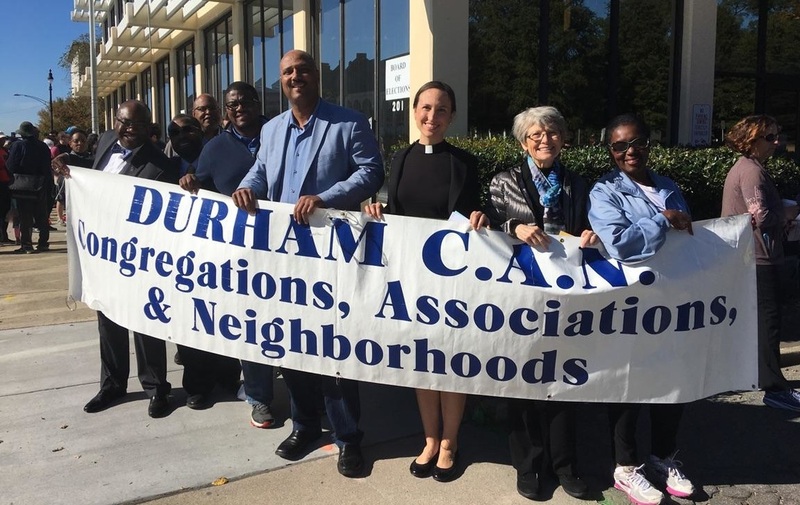 Durham CAN Clergy announced they will meet with Anthony Scott, CEO of the Durham Housing Authority, on July 29 to demand immediate action and give Campus Apartments notice of default. Read powerful DAI statement here. 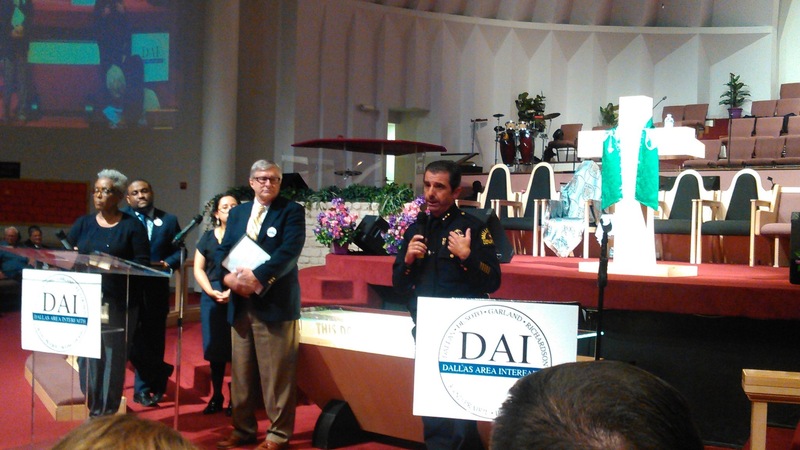 Pictures from a vigil/meeting last night at Southern Hills Church of Christ in Dallas organized by Dallas Area Interfaith (DAI). 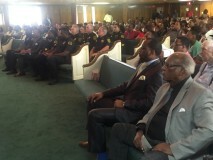 Six different law enforcement agencies from around the metro area joined 600 who attended the event. As the national attention inevitably fades, the slow, patient work of house meetings with police to build trust and to work towards solutions to local issues will be DAI's focus in the weeks and months to come. DAI builds on a twenty year history of working with law enforcement. Next steps for the organization include a follow up meeting in next week to address public safety concerns in neighborhoods across the city. 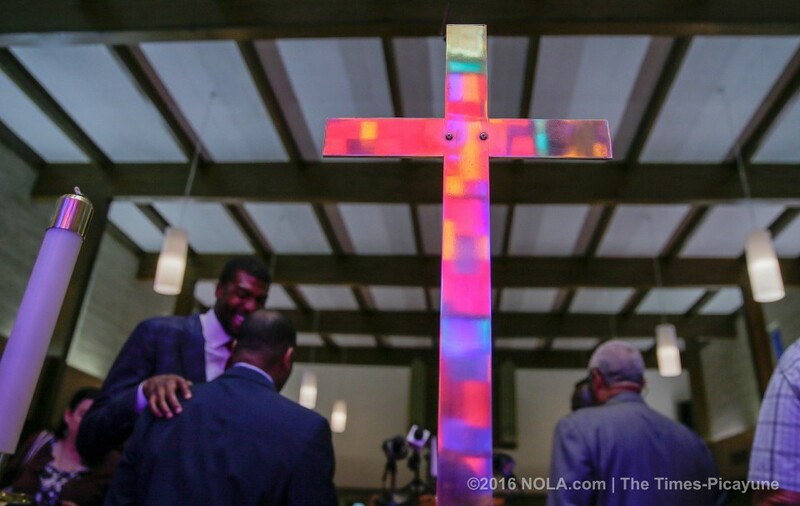 Baton Rouge faith leaders called for clarity on and a larger role for the Department of Justice in the investigation of the shooting of Alton Sterling. They called public trust in the investigation "paramount" in a statement issued during a Thursday (July 7) press conference. Sterling was killed after officials say an altercation occurred with two Baton Rouge police officers early Tuesday morning. 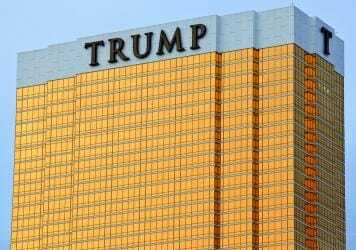 The investigation was handed over to the FBI and the DOJ's Civil Rights Division by Wednesday morning. 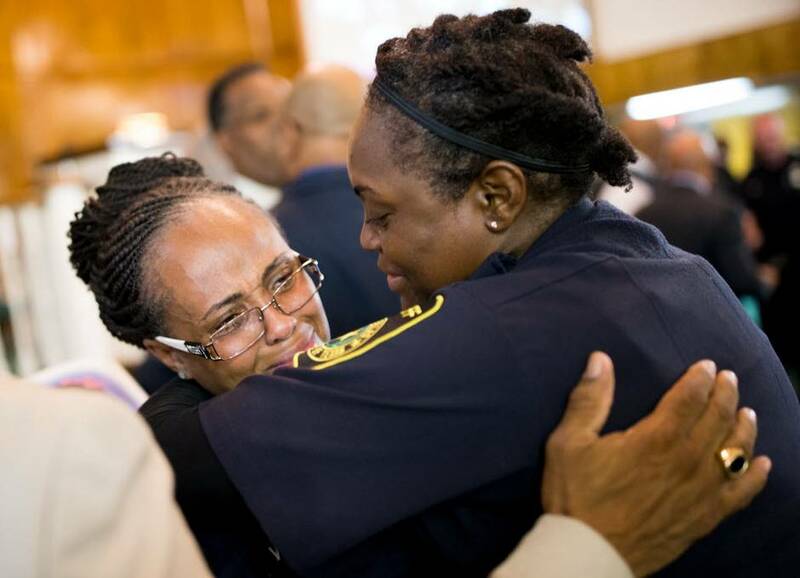 Baton Rouge Police Department spokesman Lt. Jonny Dunnam also said that while the DOJ will investigate potential civil rights violations, Louisiana State Police will work to determine if criminal actions took place. "This is a time of grieving in our community. It is a time of anger. 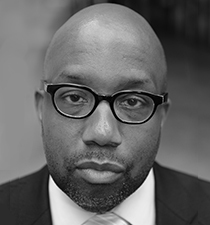 And it is time of raising, and answering, a fundamental question -- whether the killing of a member of our community, Alton Sterling, by a member of our police force was justified or unjustified," reads the statement from the Rev. Lee T. Wesley provided by Together Baton Rouge. "One thing is of paramount importance at a time such as this -- public trust in the integrity of the process of criminal justice." NOLA story here. Together Baton Rouge statement here.